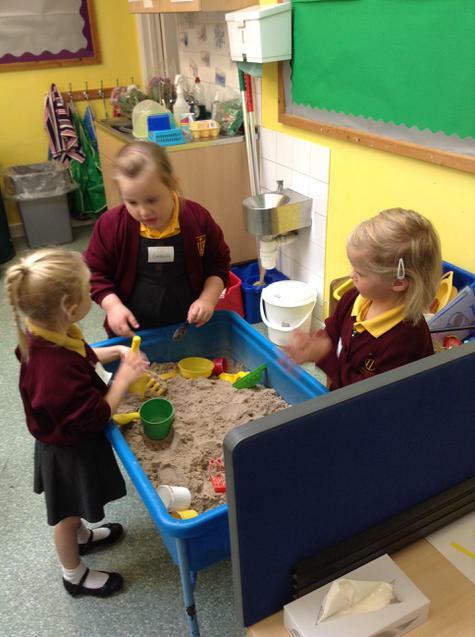 Welcome to the Sunshine class page. 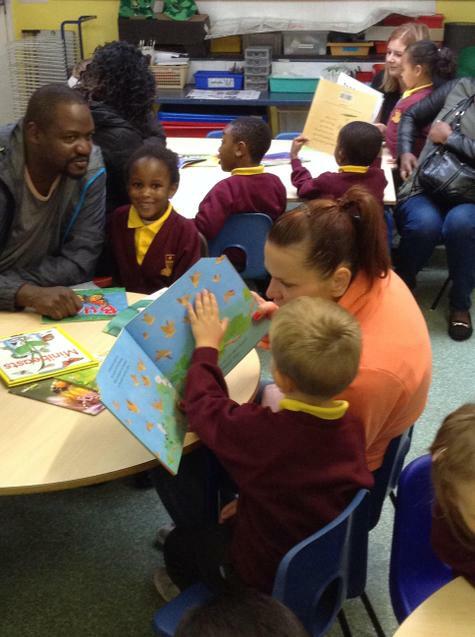 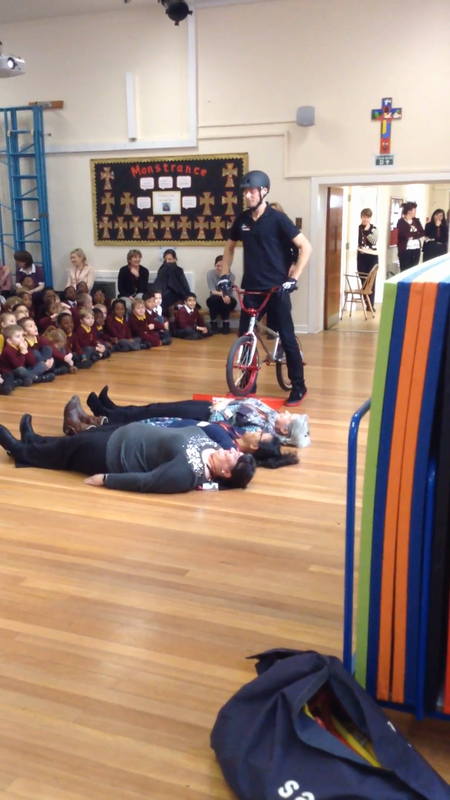 Mrs Harvey-Smith is the class teacher and she is supported by Miss Ndoda, Mrs Markowicz and Miss Jones. 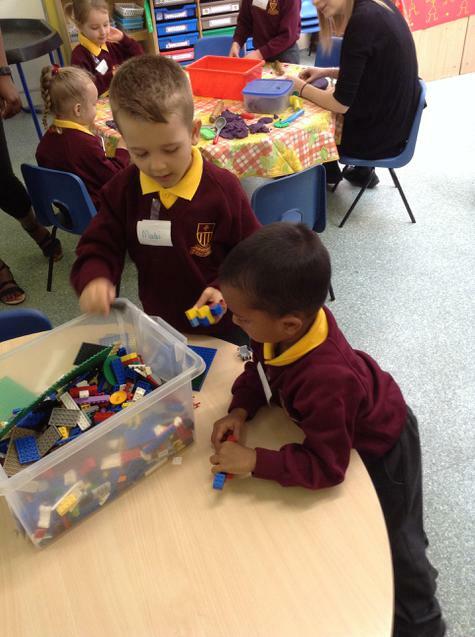 This page will show you some of the exciting things the children have been doing in class and ideas for you to do at home to support learning. 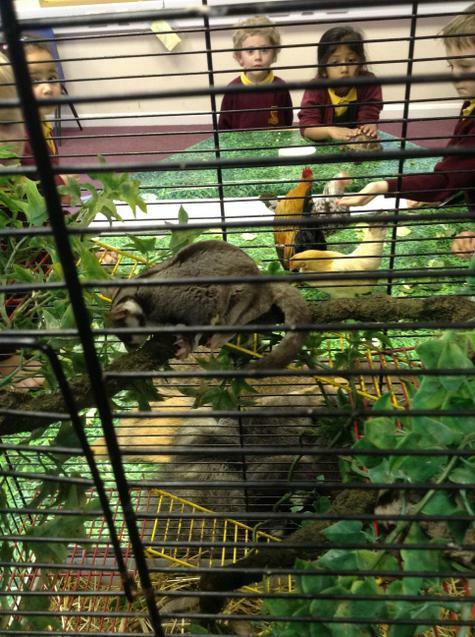 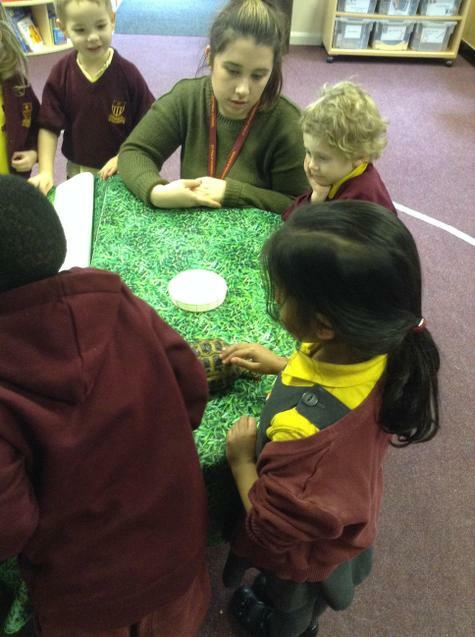 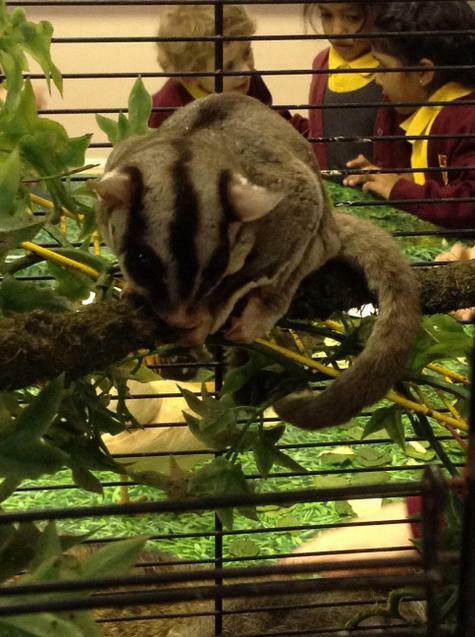 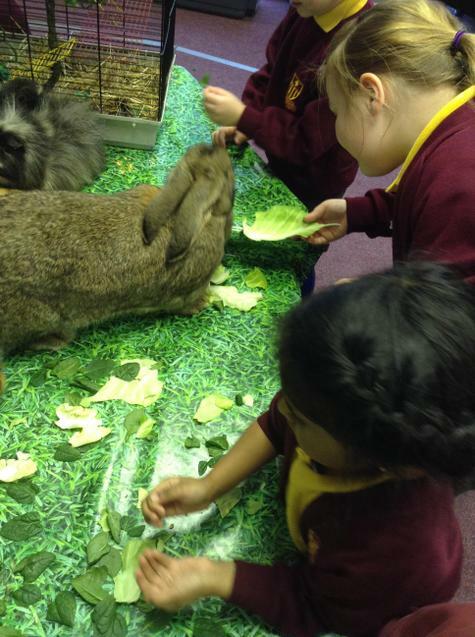 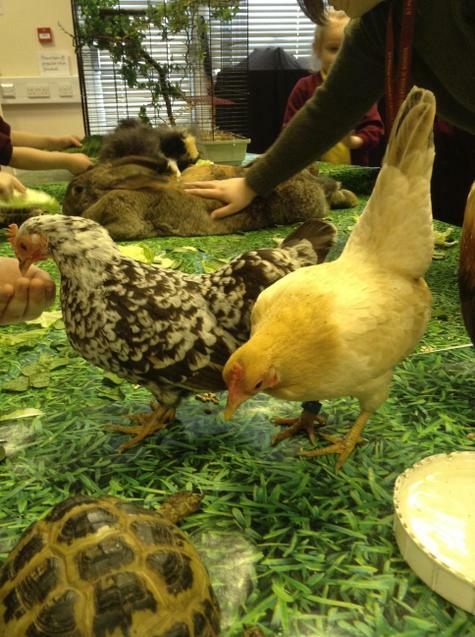 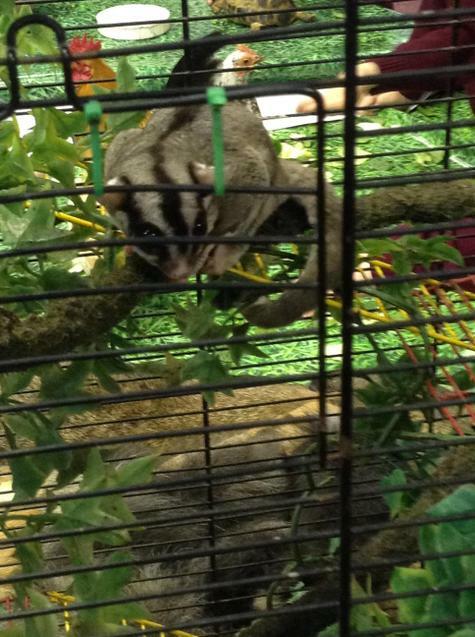 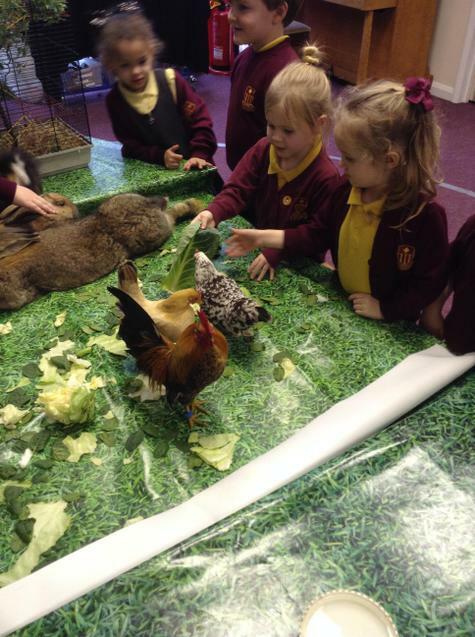 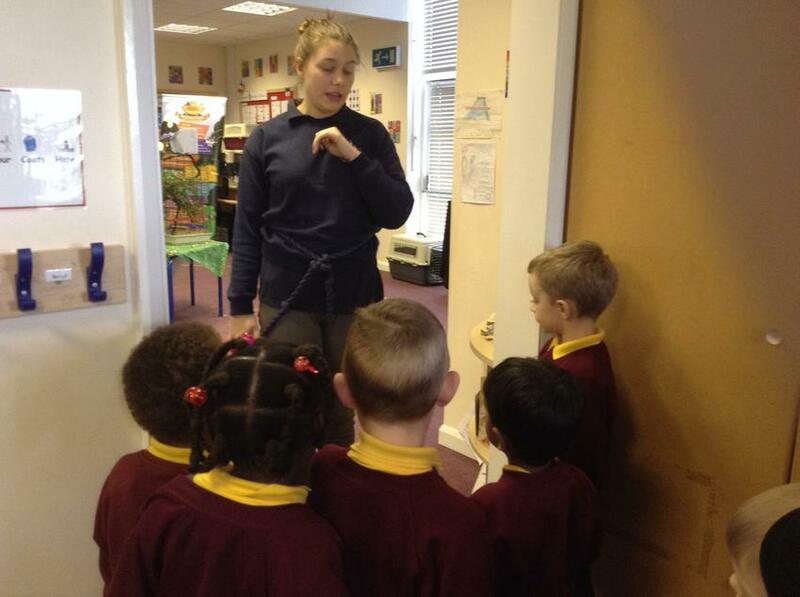 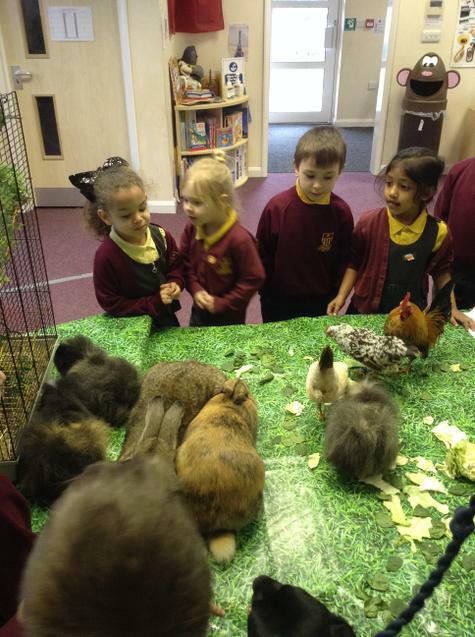 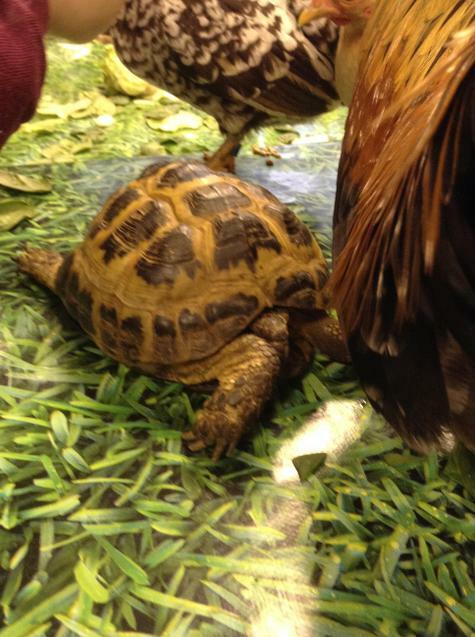 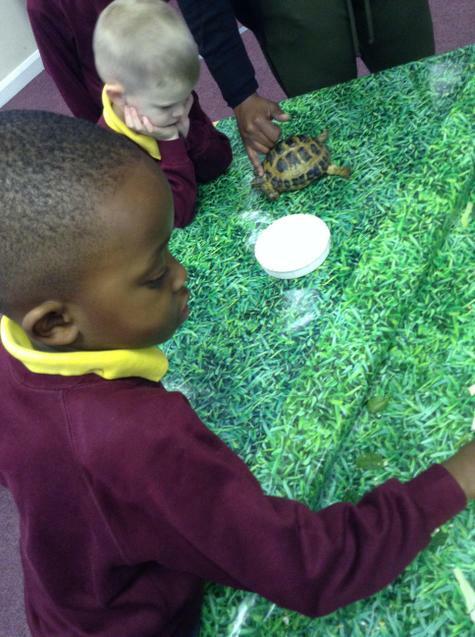 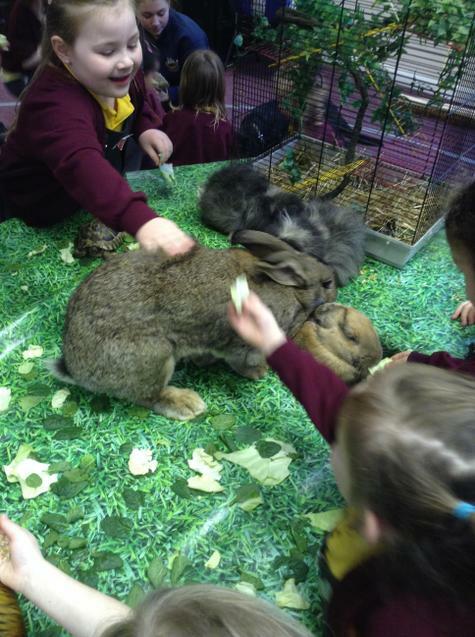 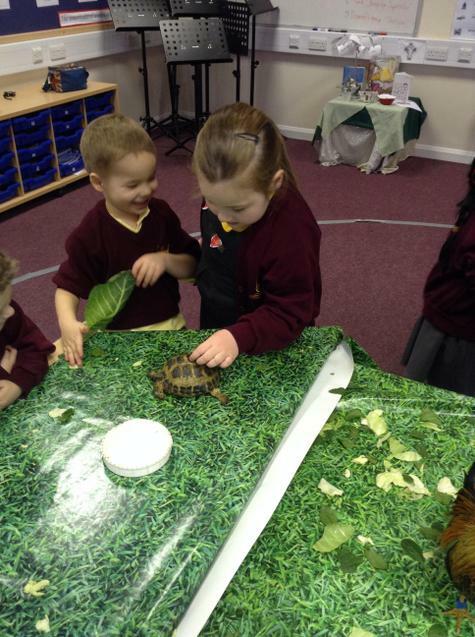 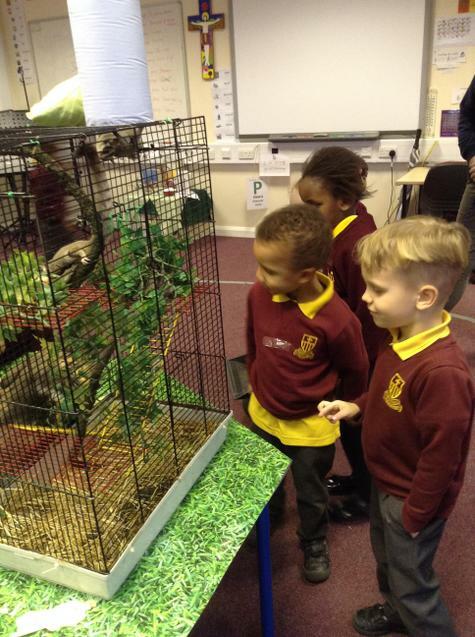 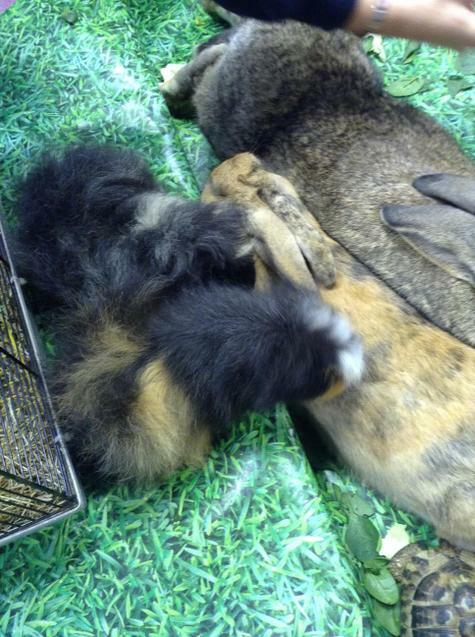 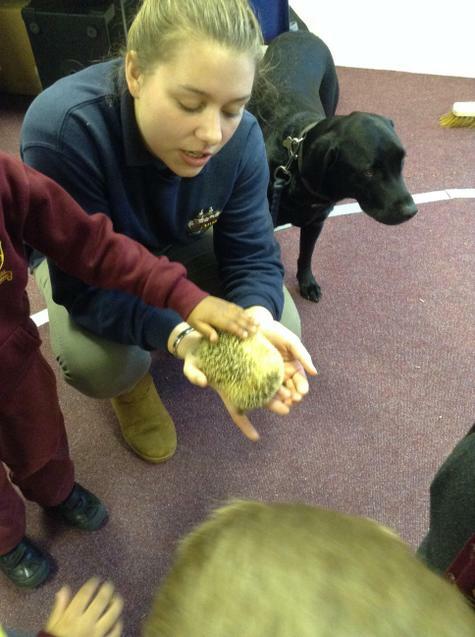 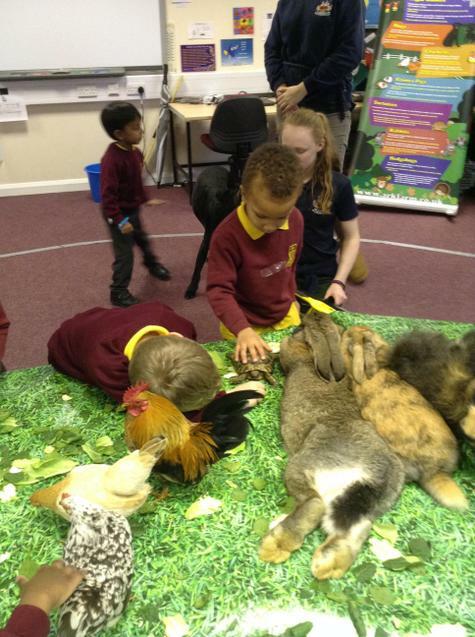 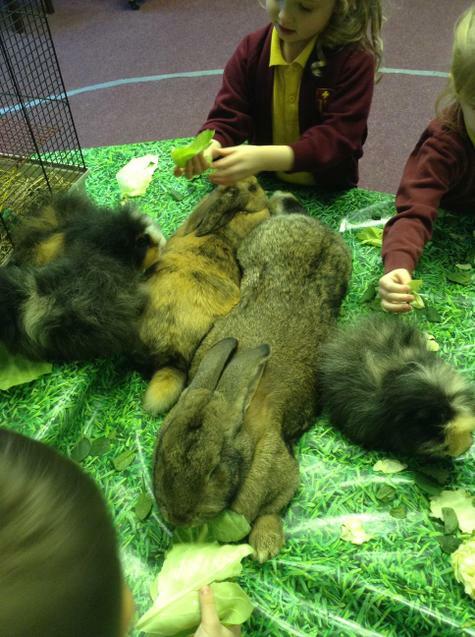 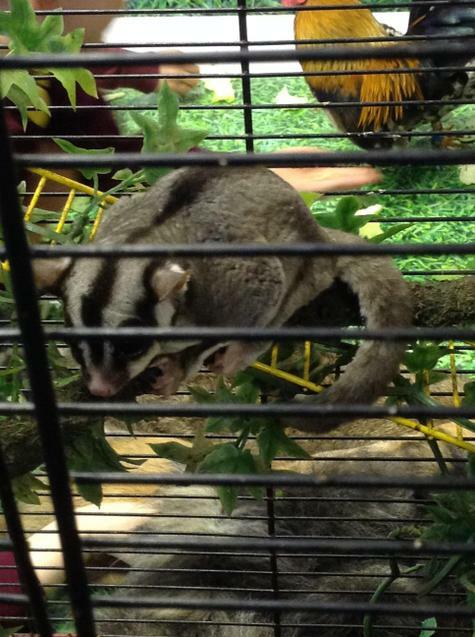 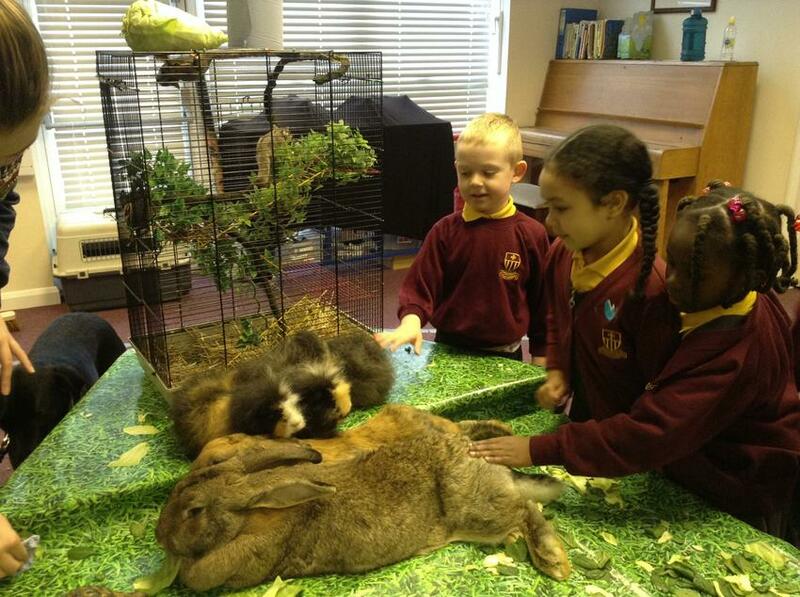 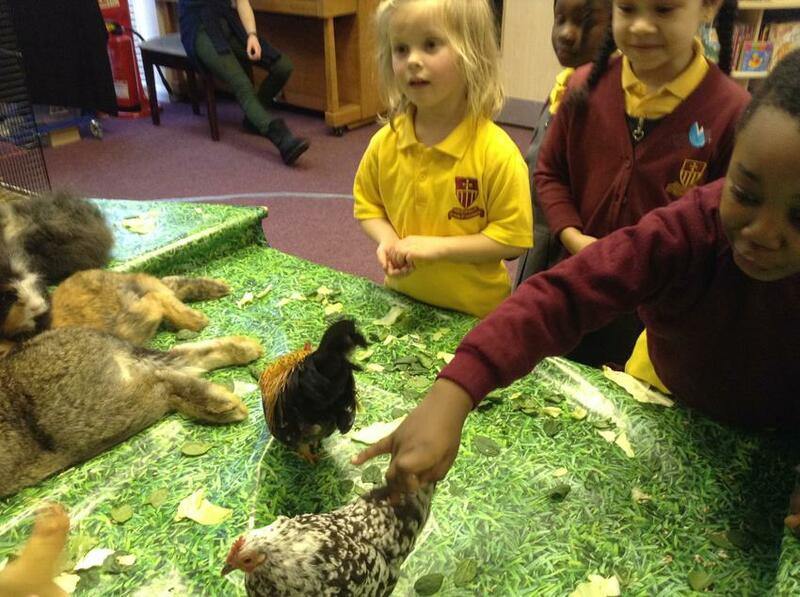 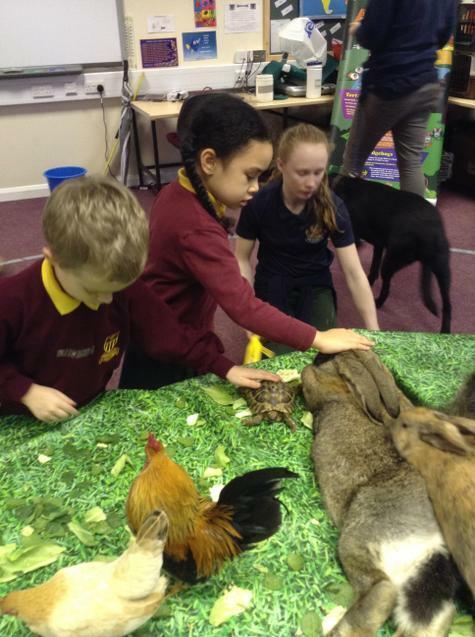 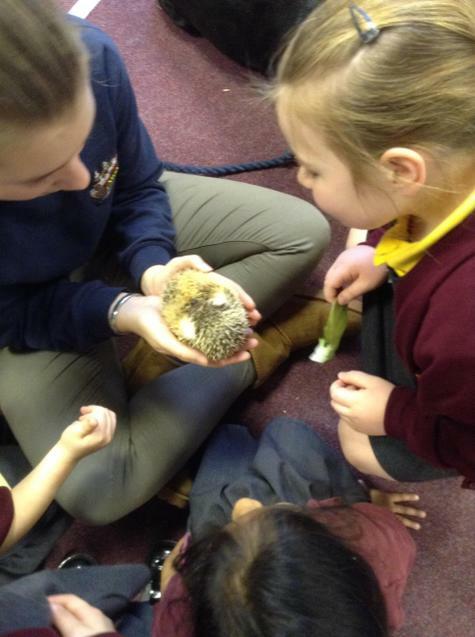 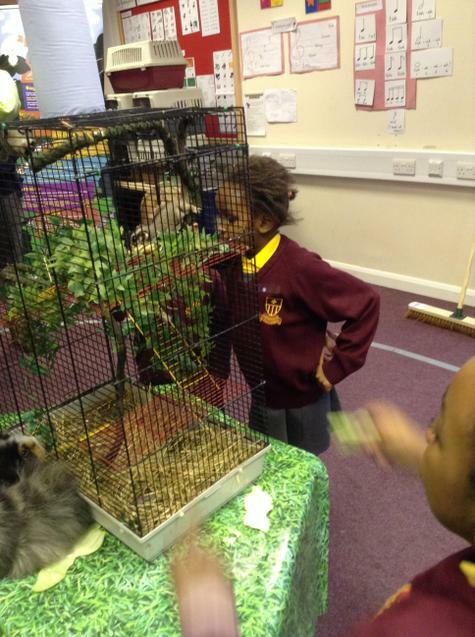 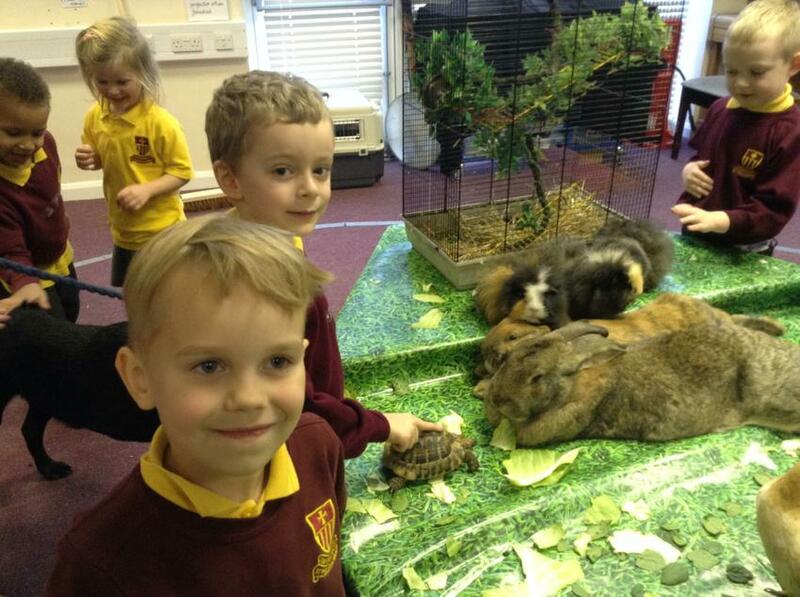 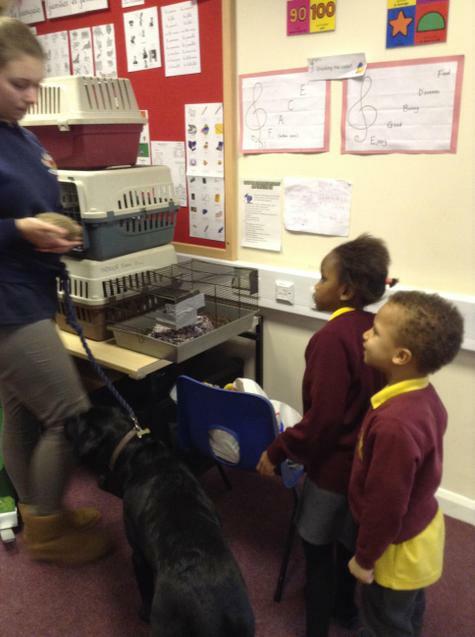 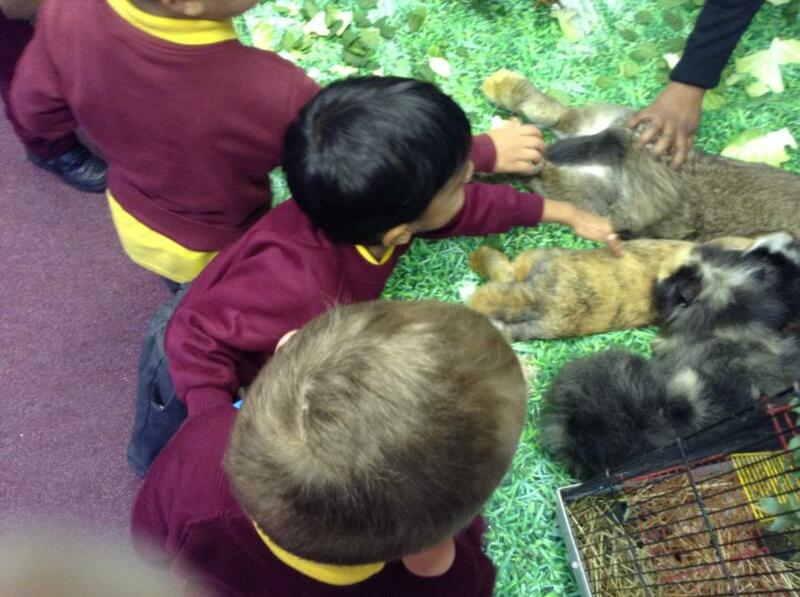 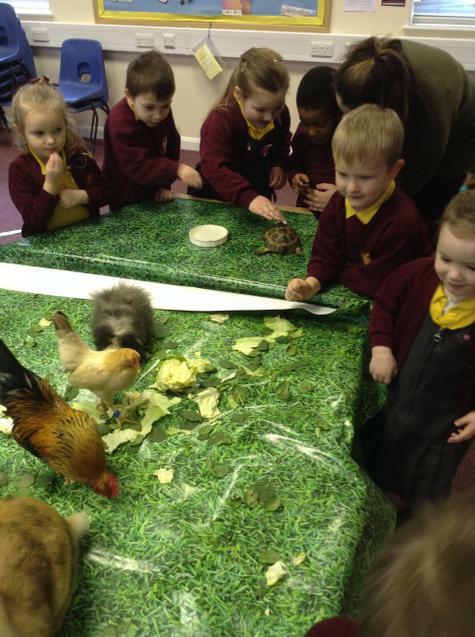 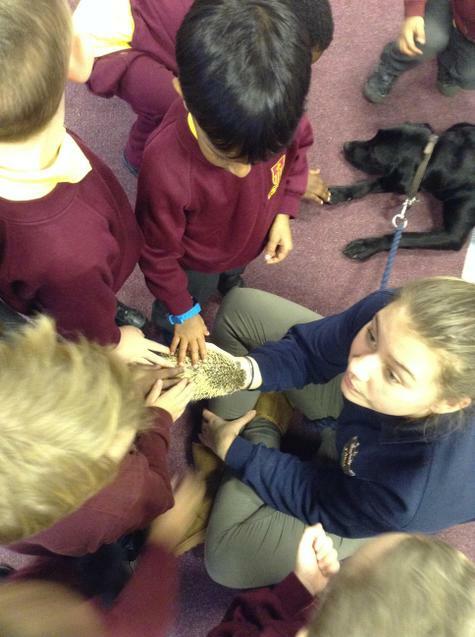 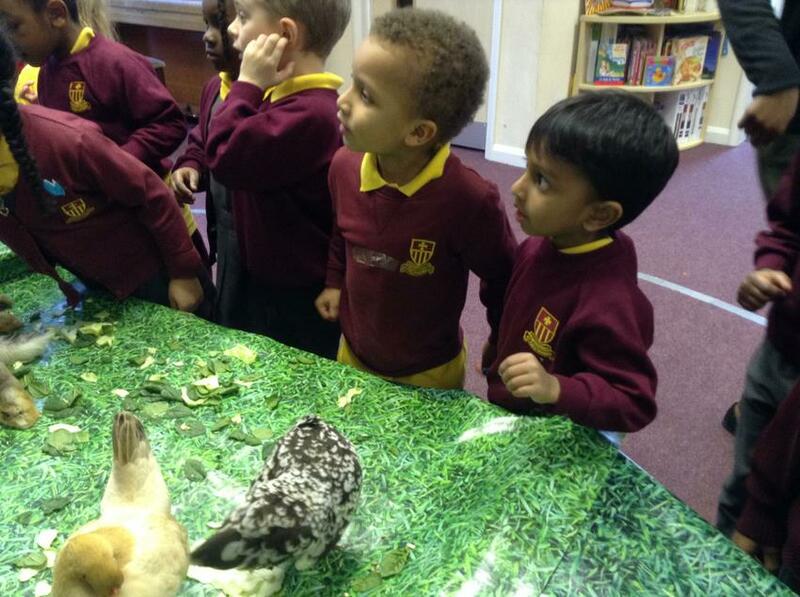 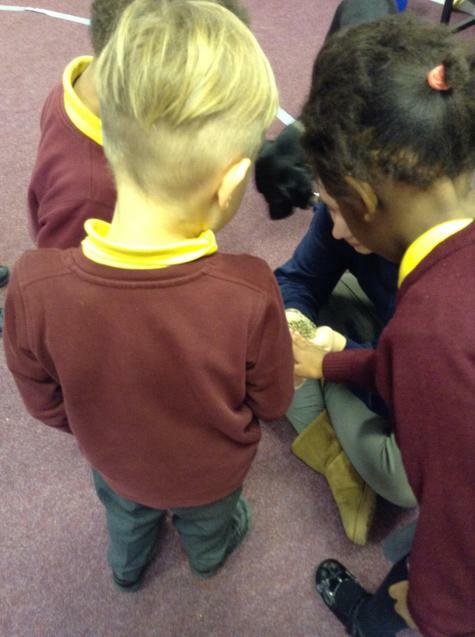 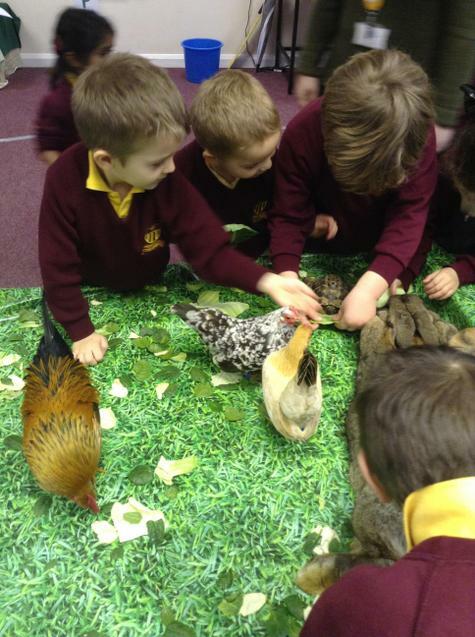 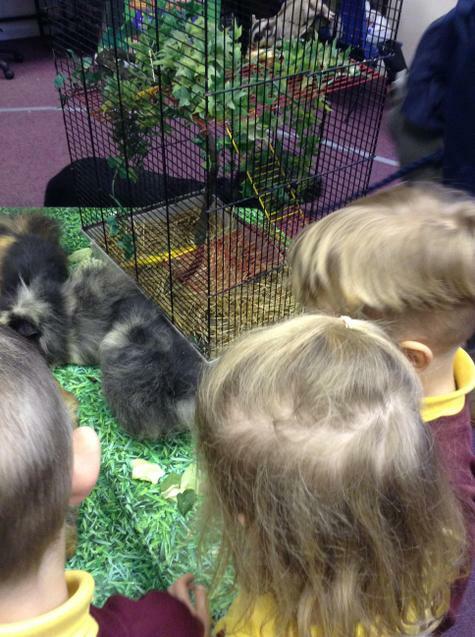 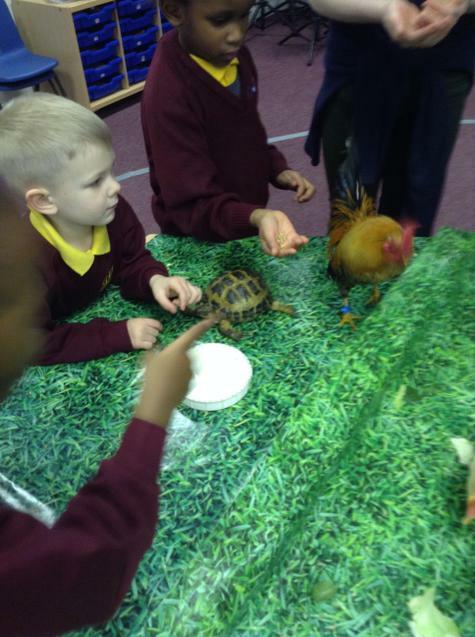 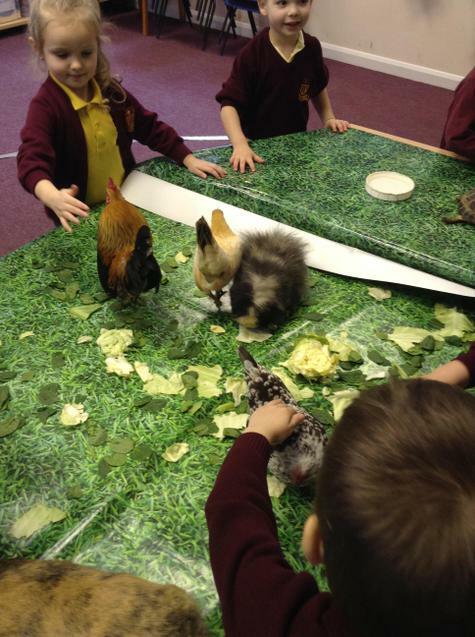 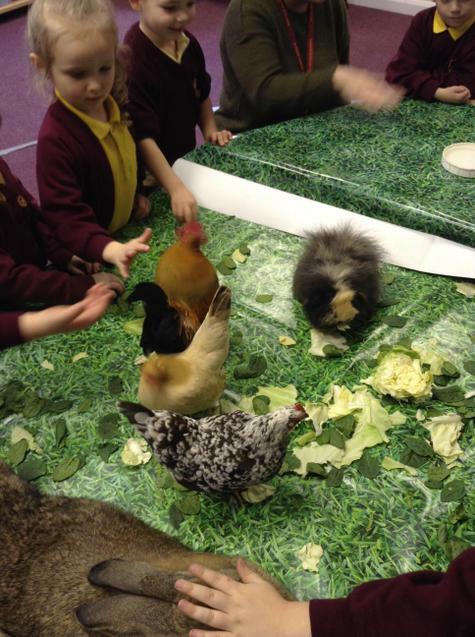 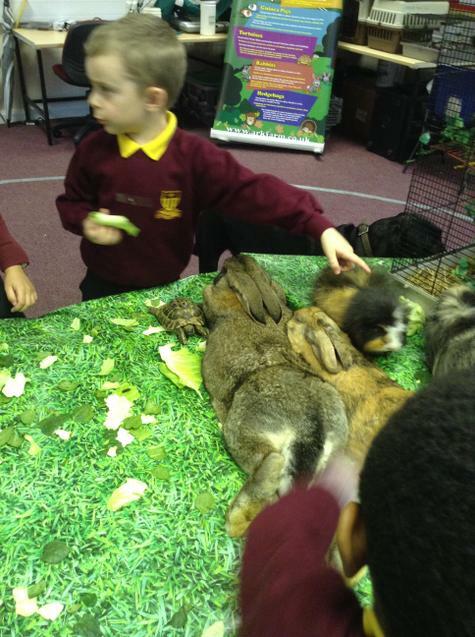 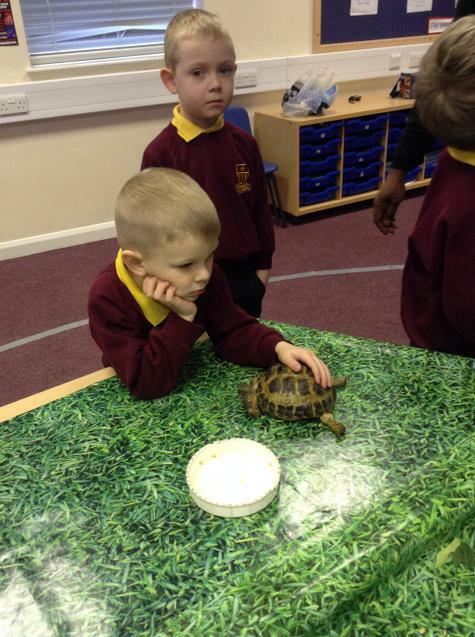 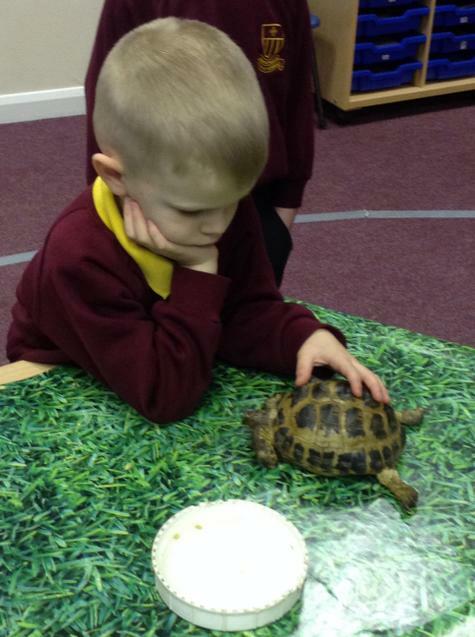 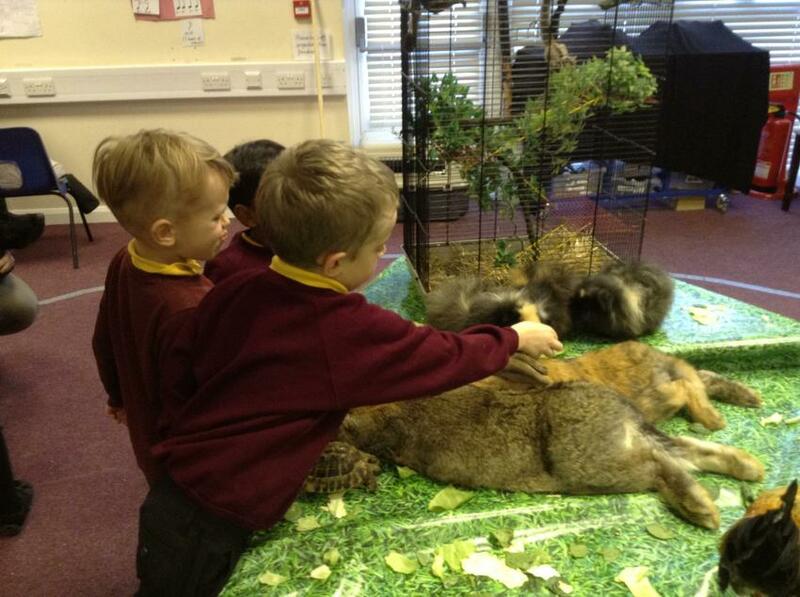 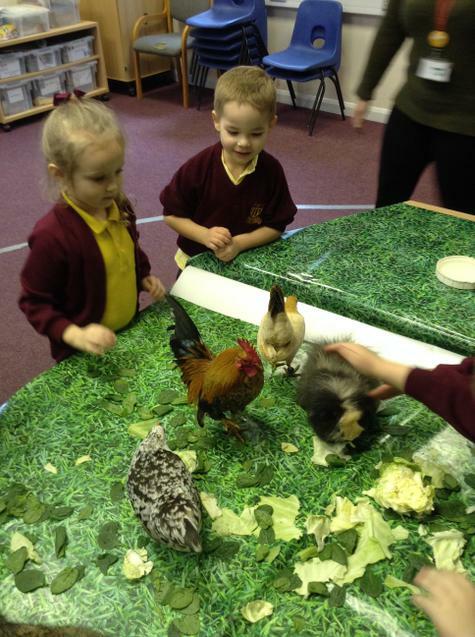 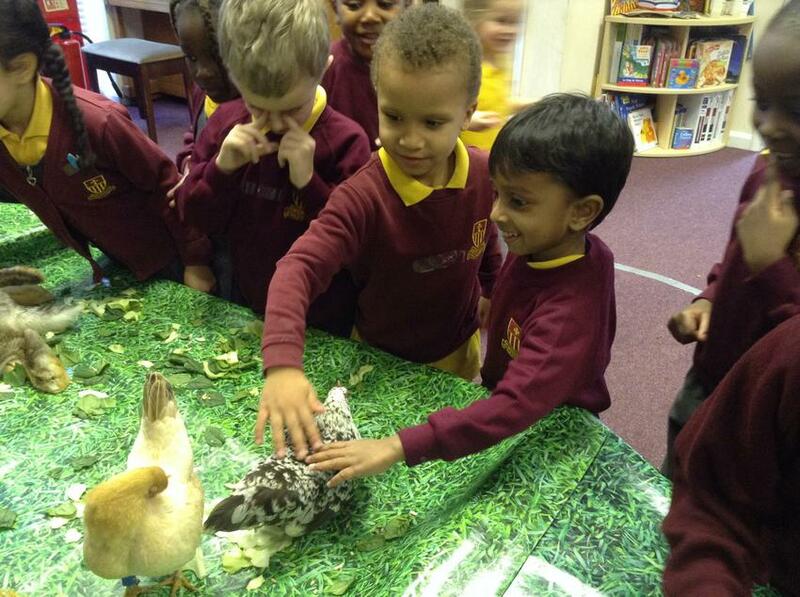 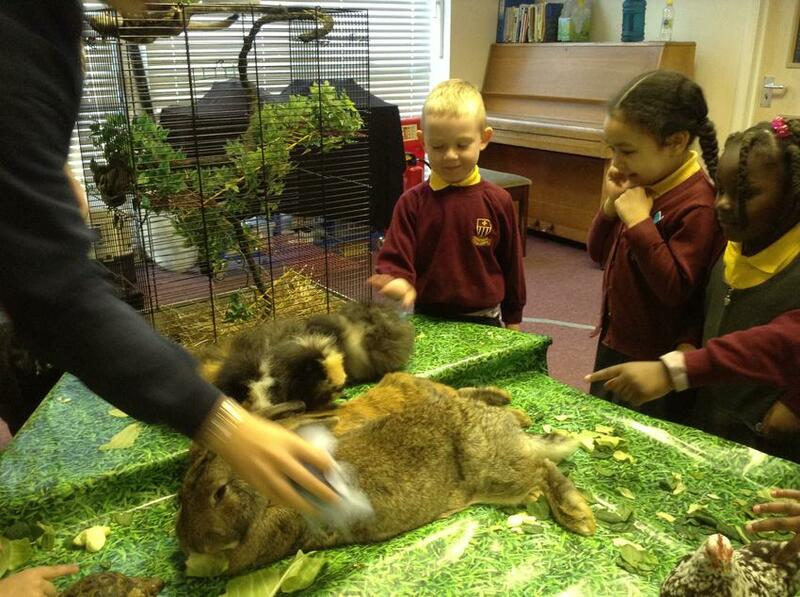 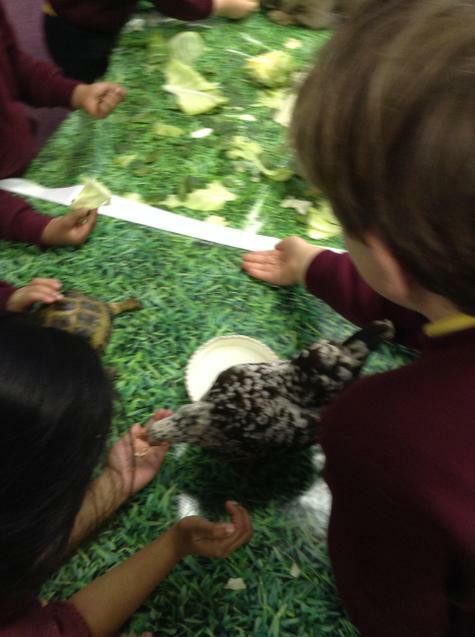 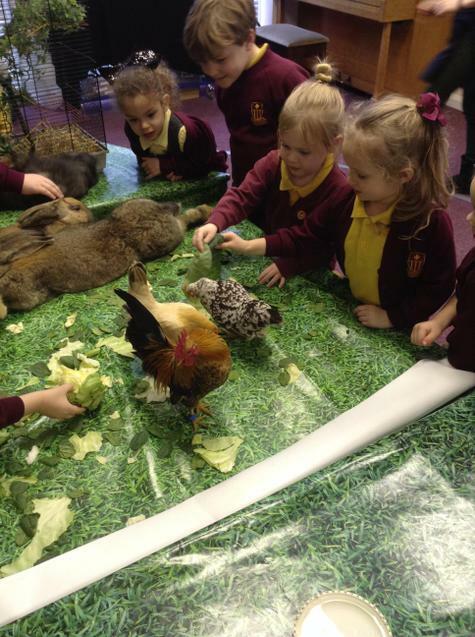 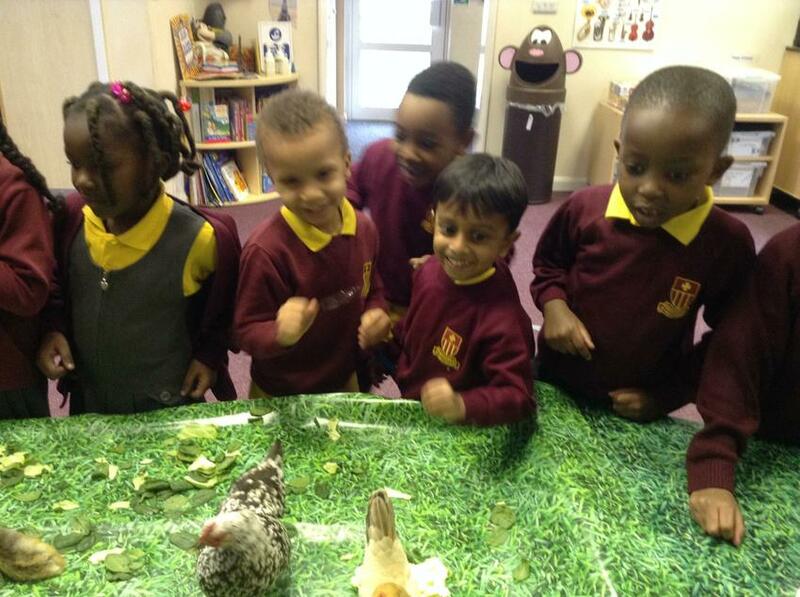 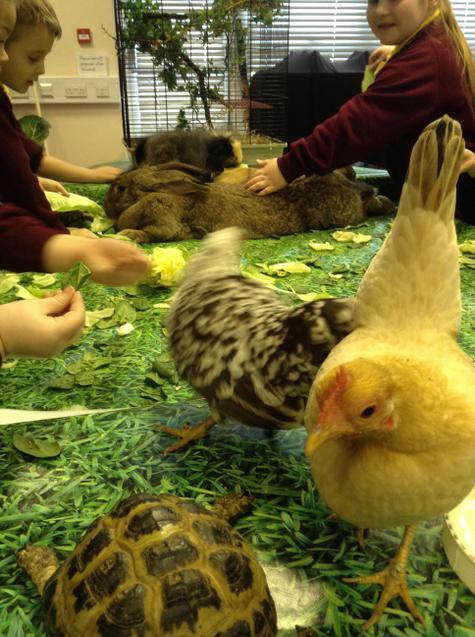 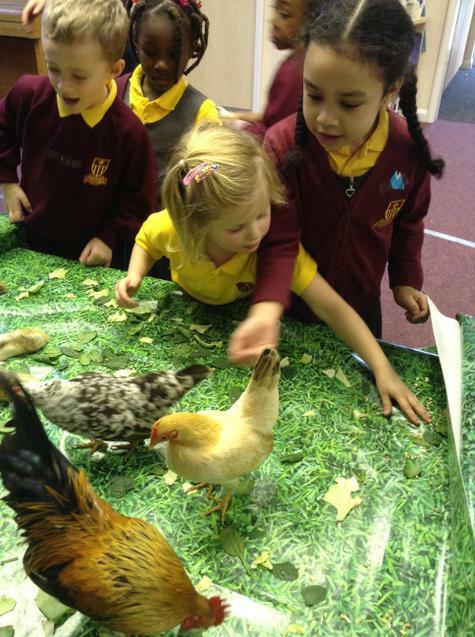 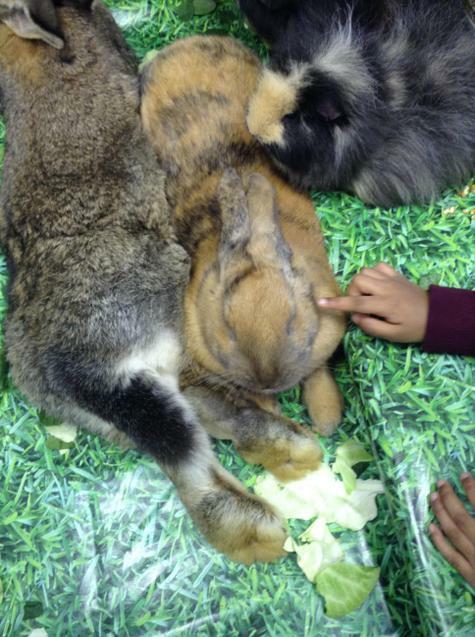 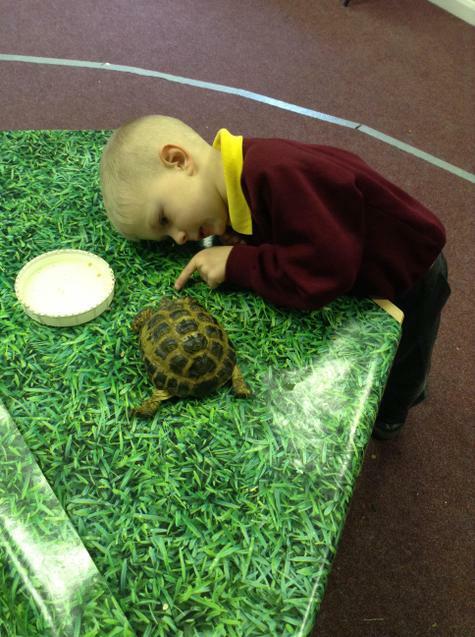 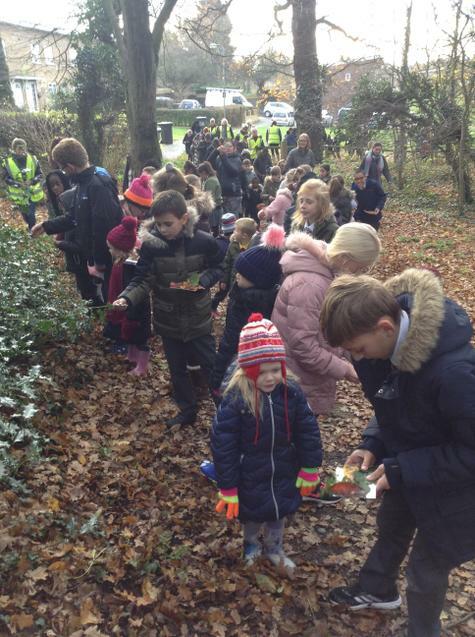 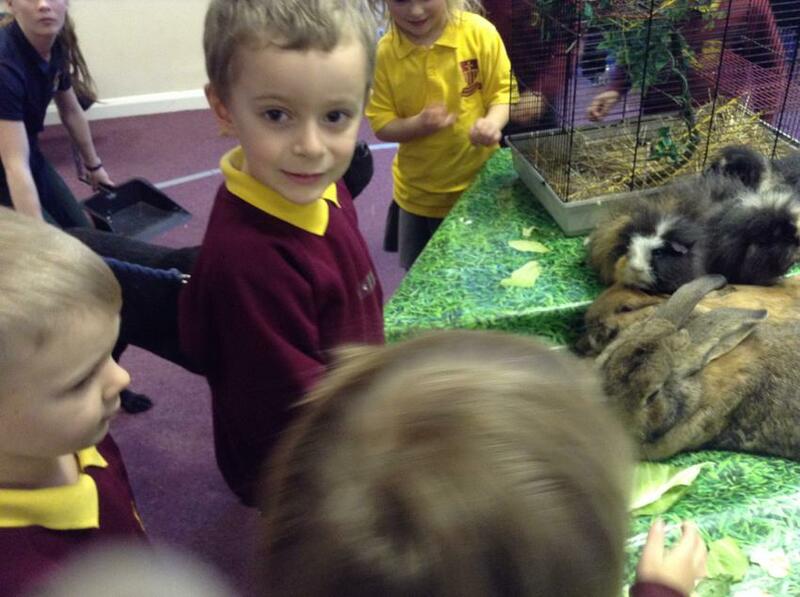 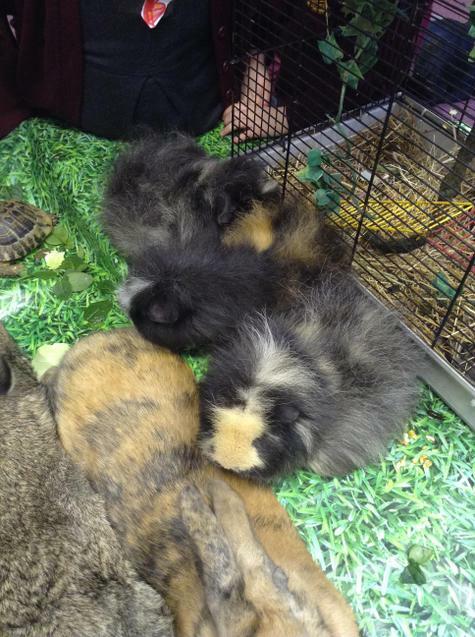 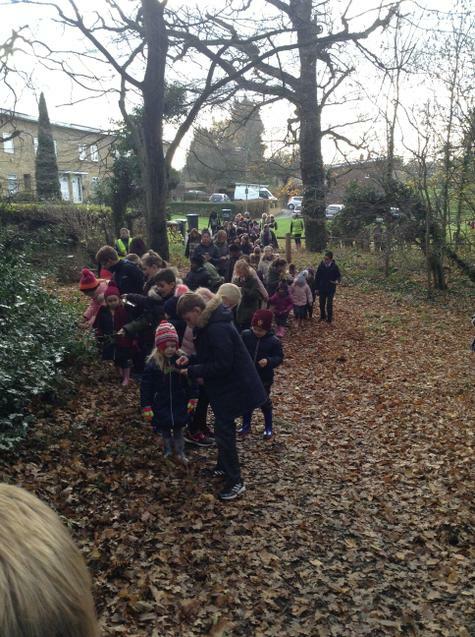 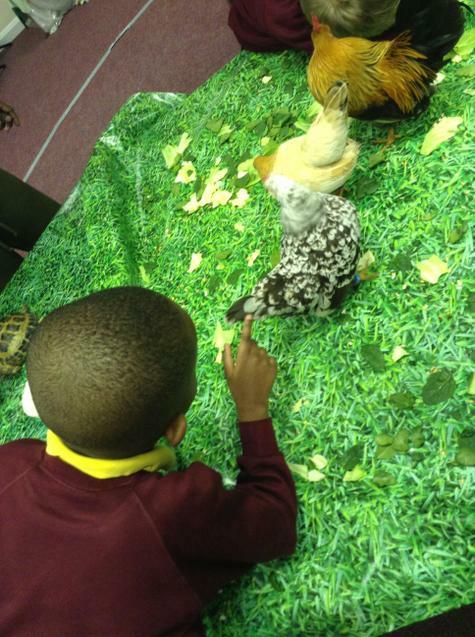 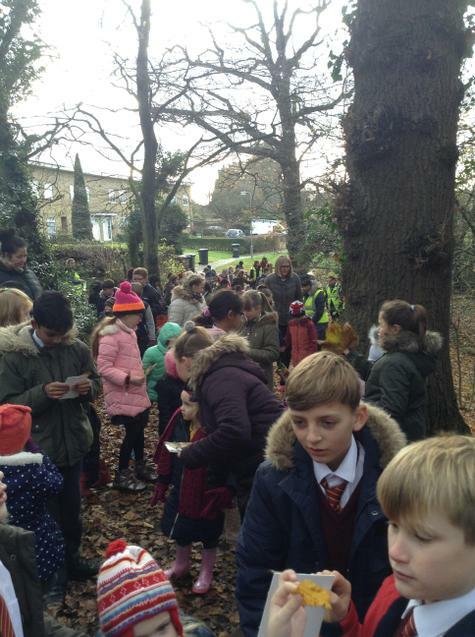 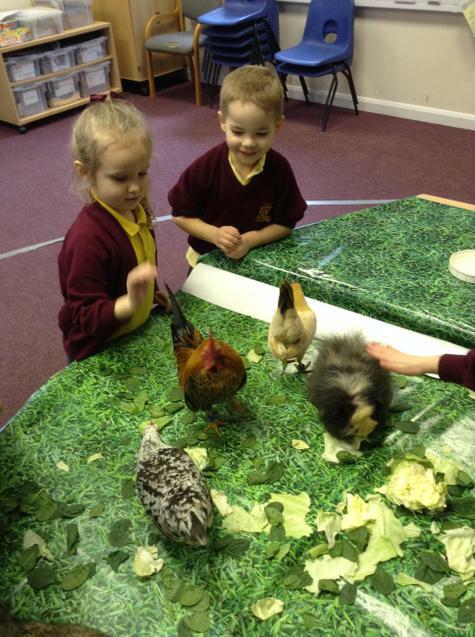 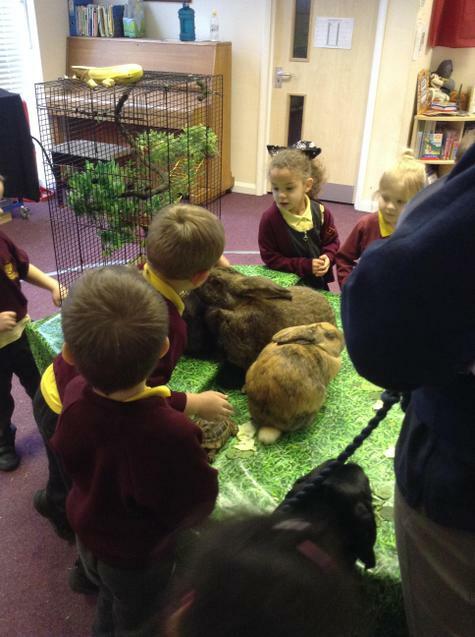 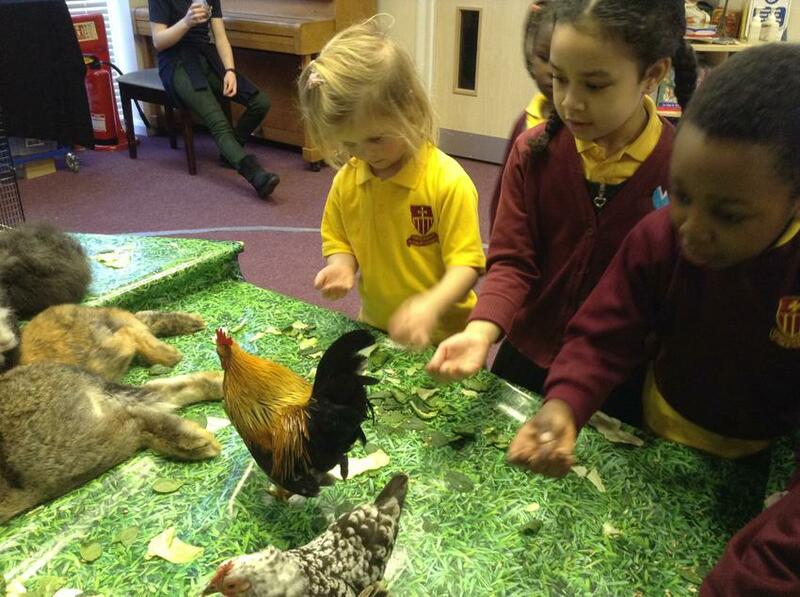 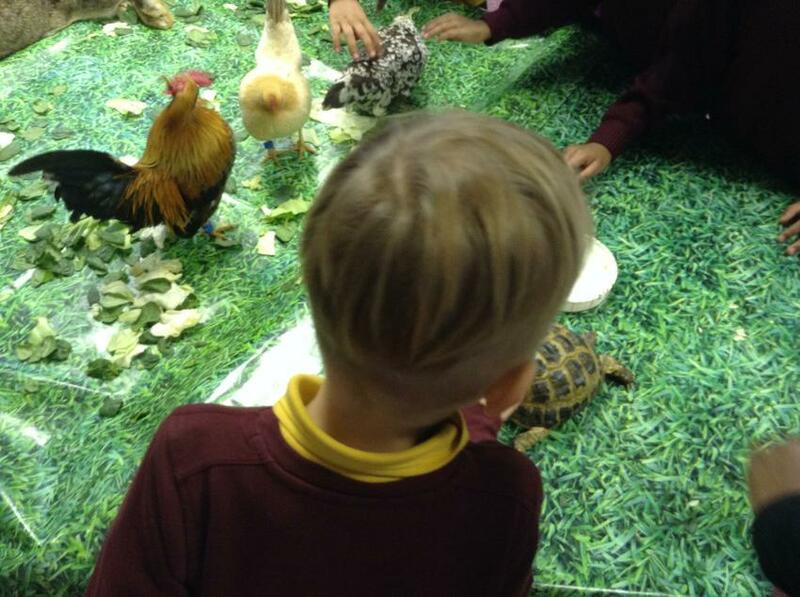 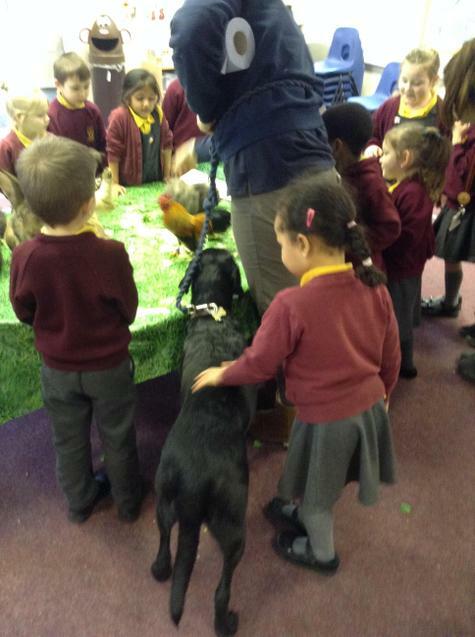 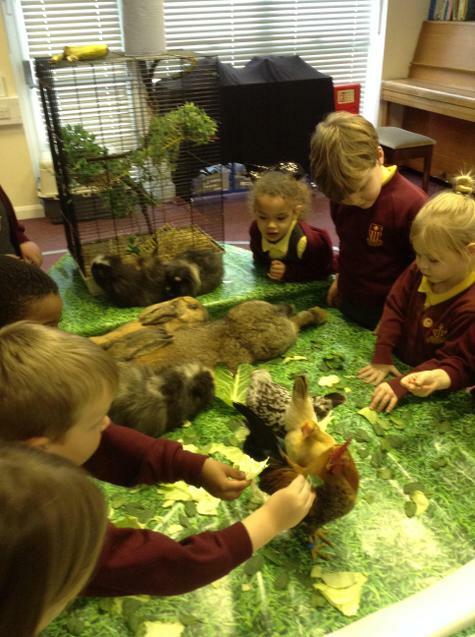 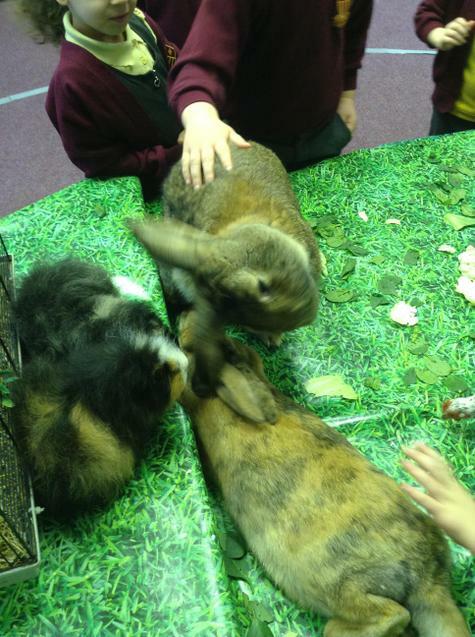 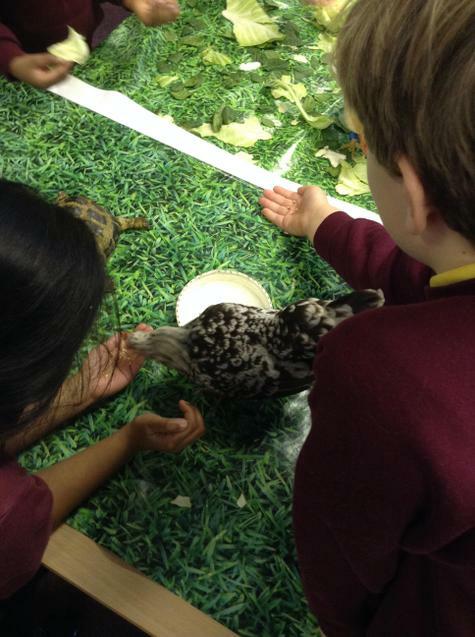 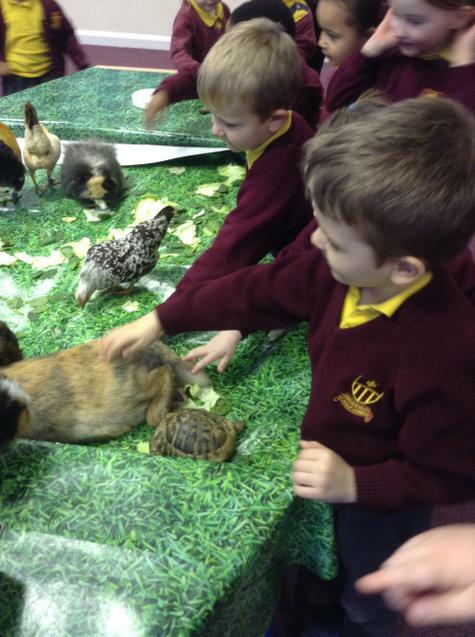 The children enjoyed feeding, stroking and looking at the small animals. 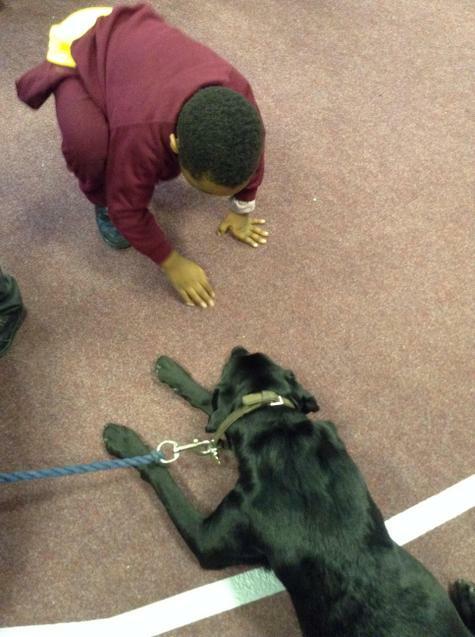 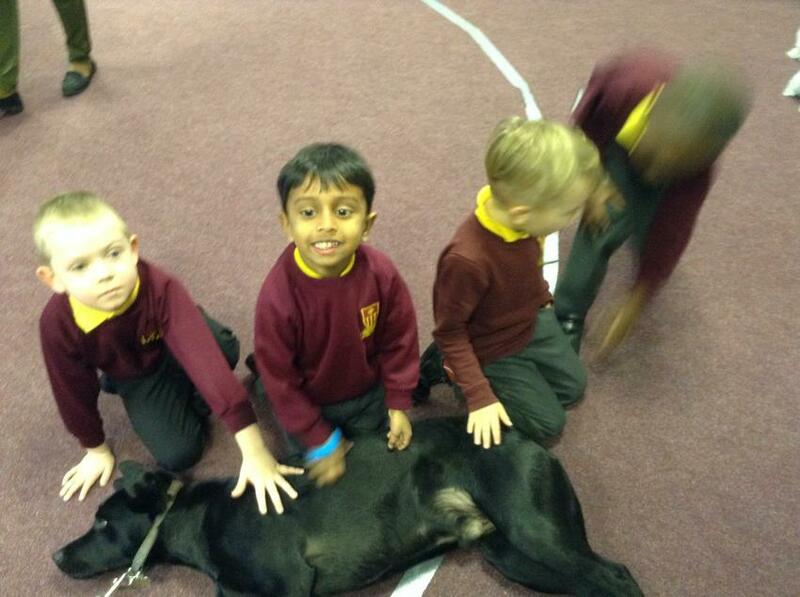 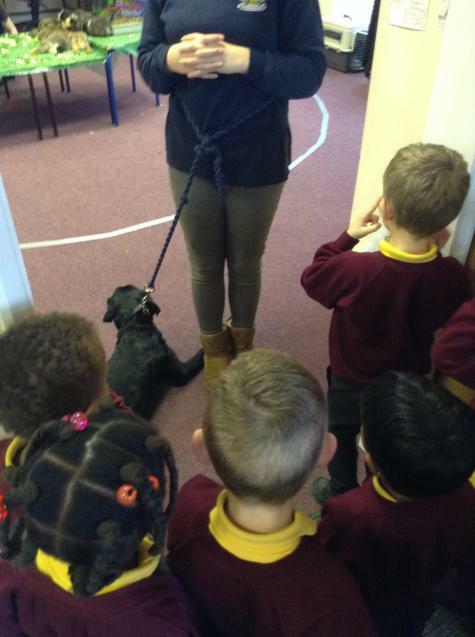 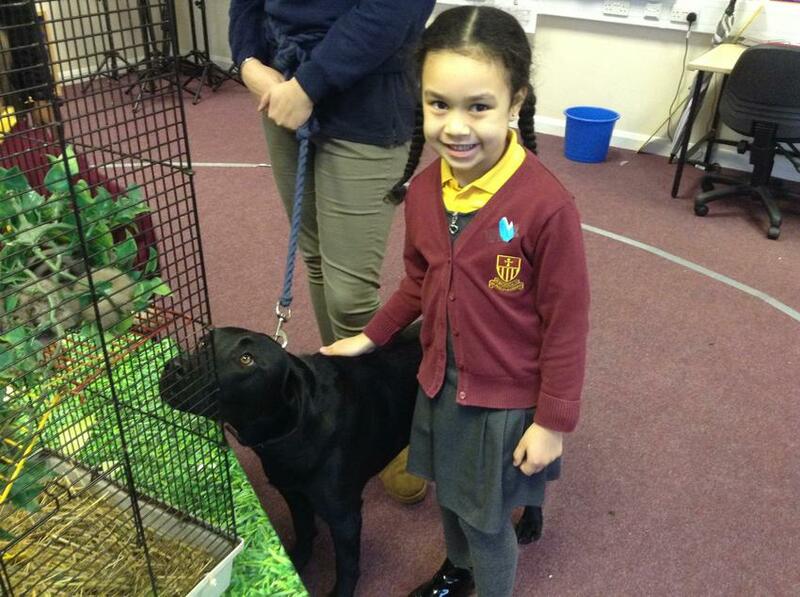 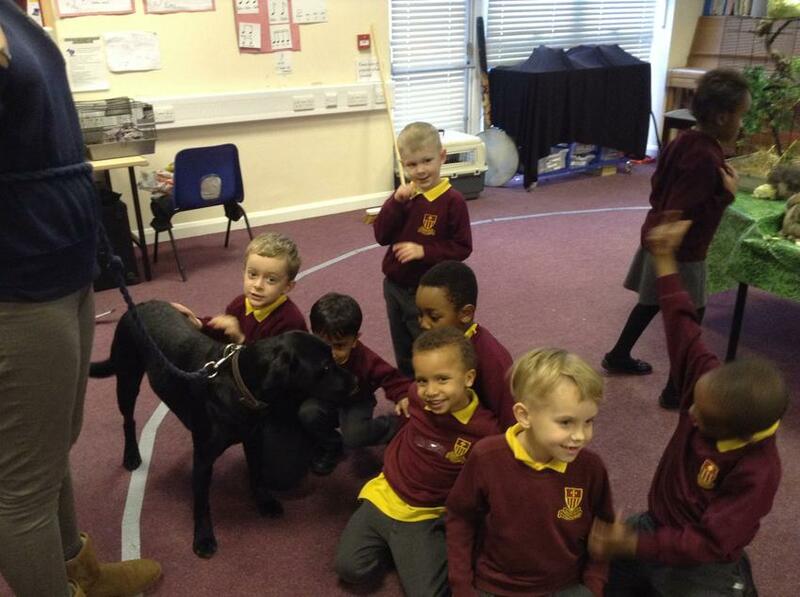 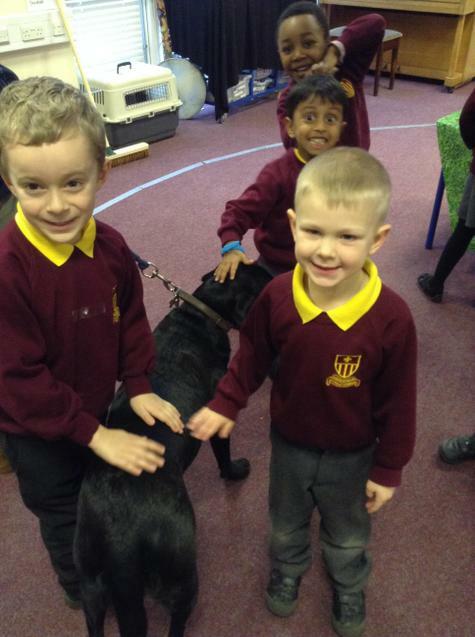 The favourite in Sunshine Class was definitely the dog. 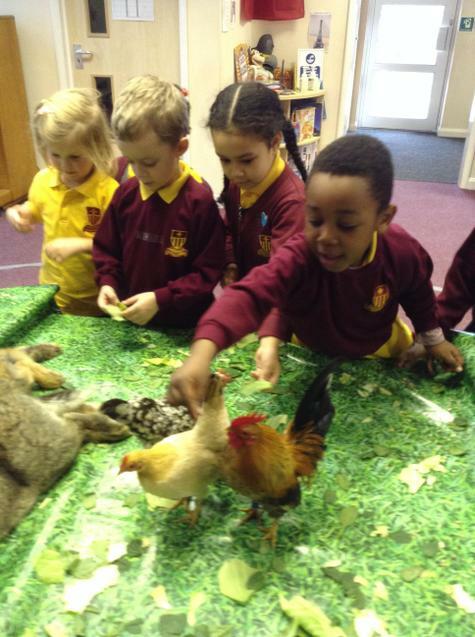 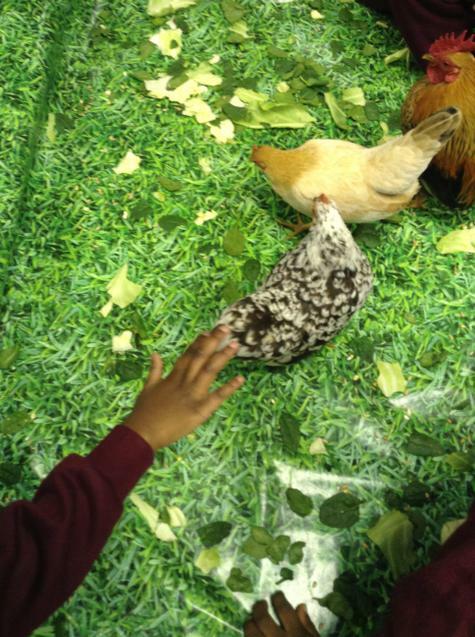 The children thought feeding seed to the chickens was very funny because it tickled when they pecked the seed from their hands. 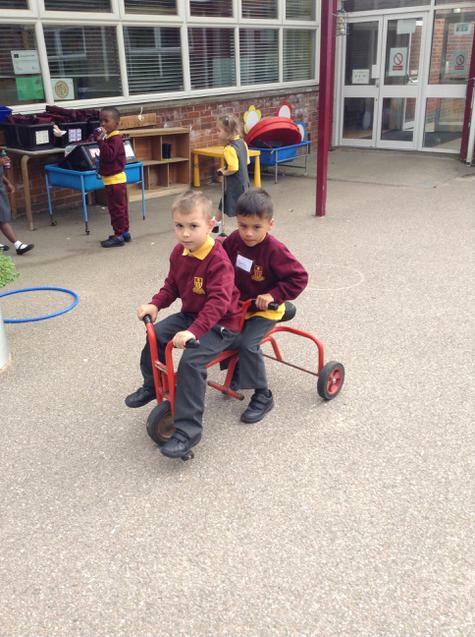 As part of our topic 'People Who Help Us' we have been thinking about the delivery service. 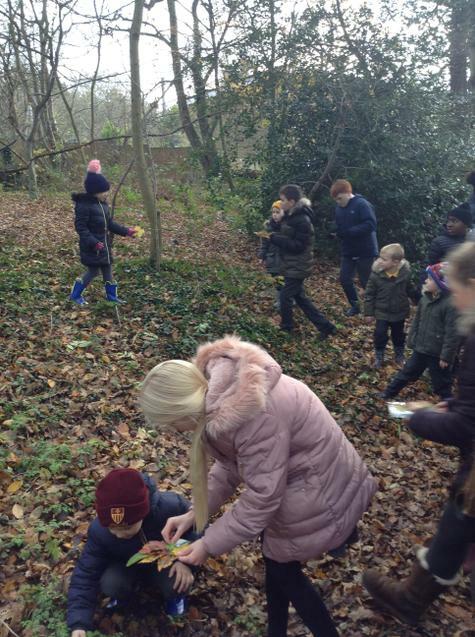 We braved the rain and wind to walk to Hatfield town centre where we posted the letters that we had written to our parents. 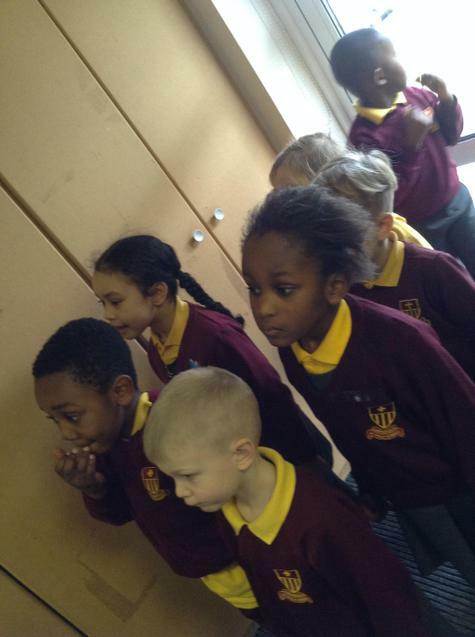 Hopefully the postman will deliver them soon and our parents will be very excited to receive the letters. 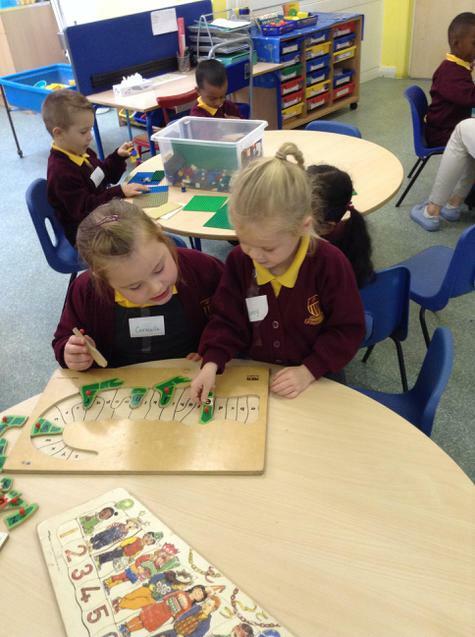 Thank you very much for coming along to see how we learn phonics in school. 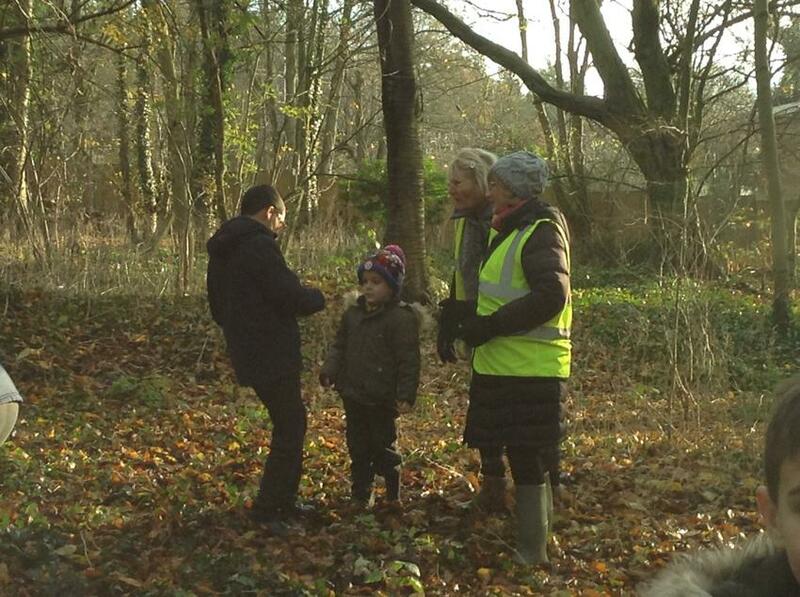 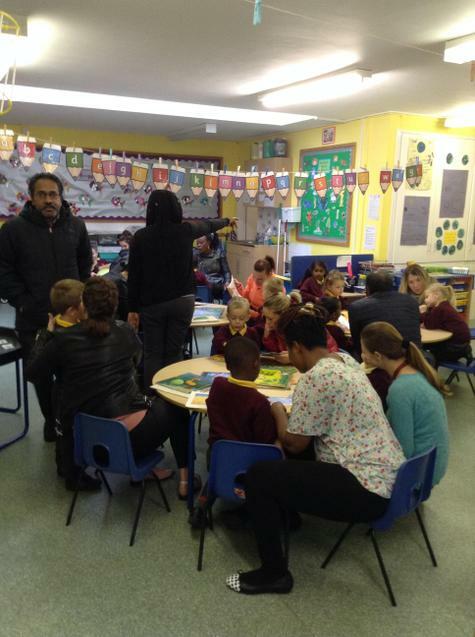 It was lovely to have so many parents and we hope that you found it useful. 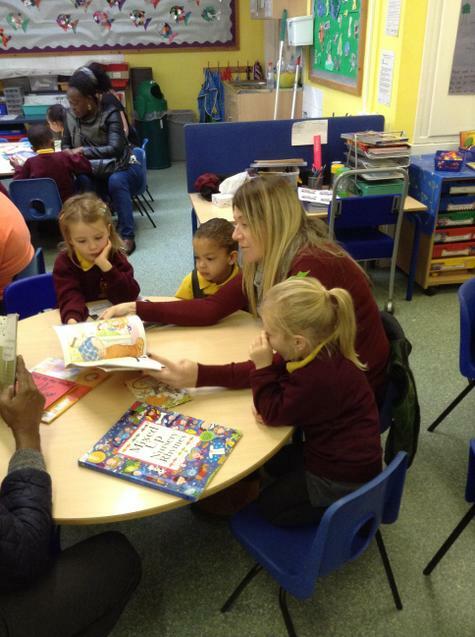 "It was a great opportunity to see how our children work with phonics." 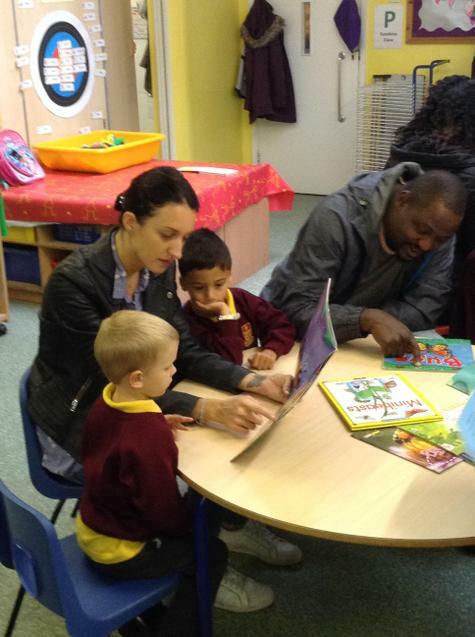 "The session will definitely help me with work we can do at home." 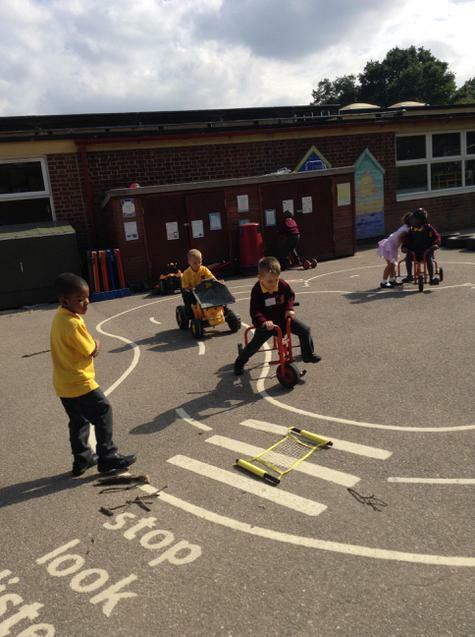 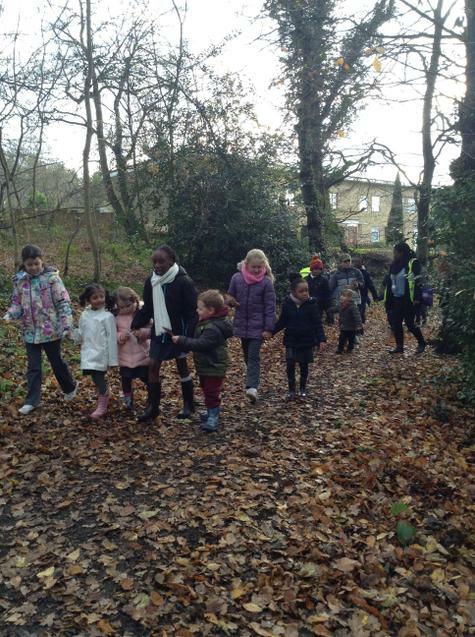 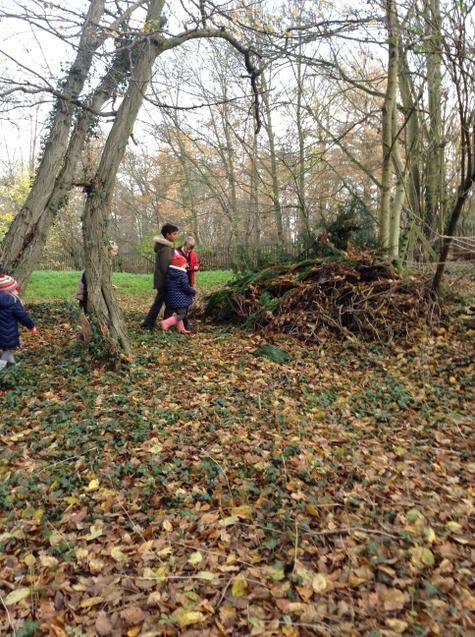 "The session has been very helpful for me as now I can see the way children are working." 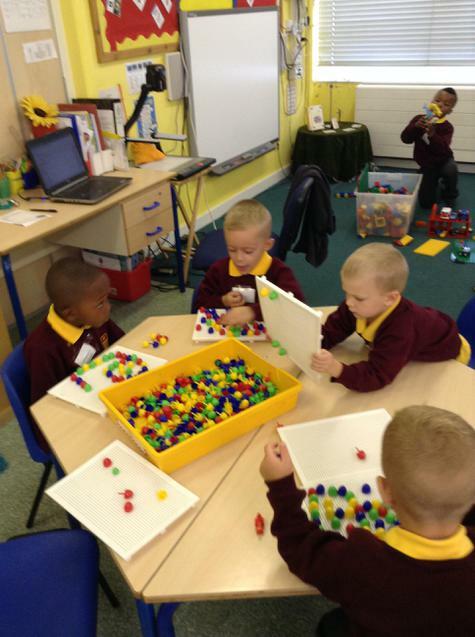 "I can practise in a similar way at home and be more focused." 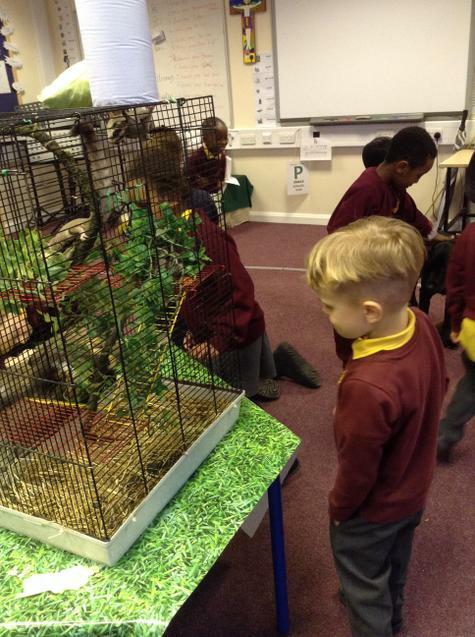 "A very interesting session. 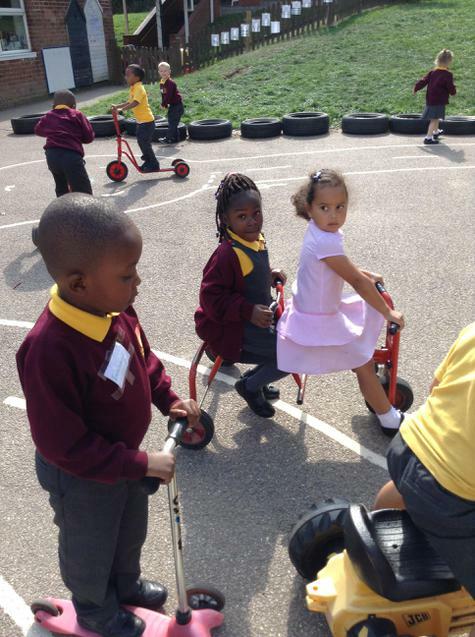 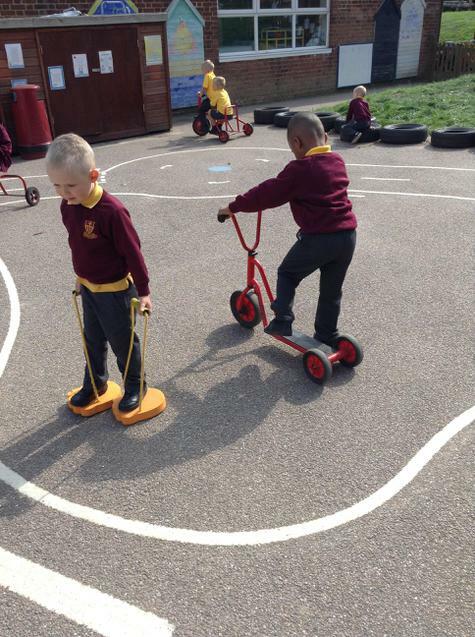 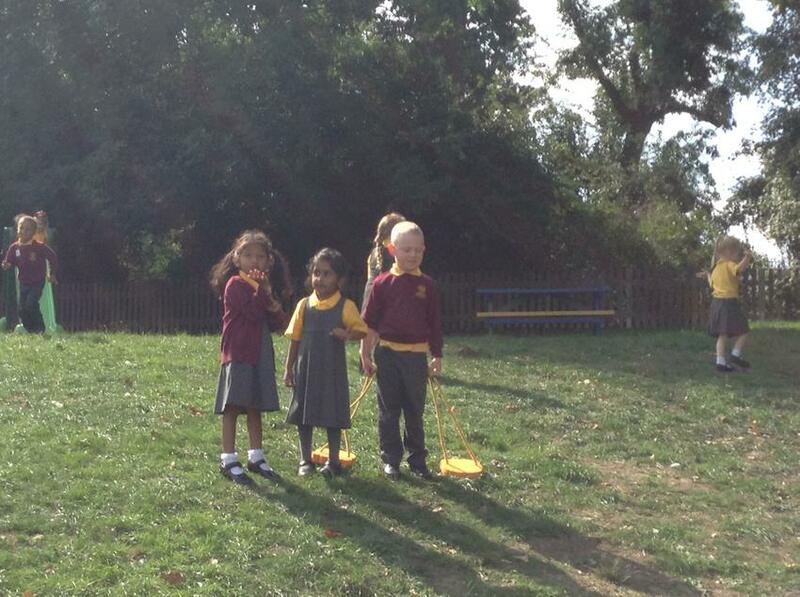 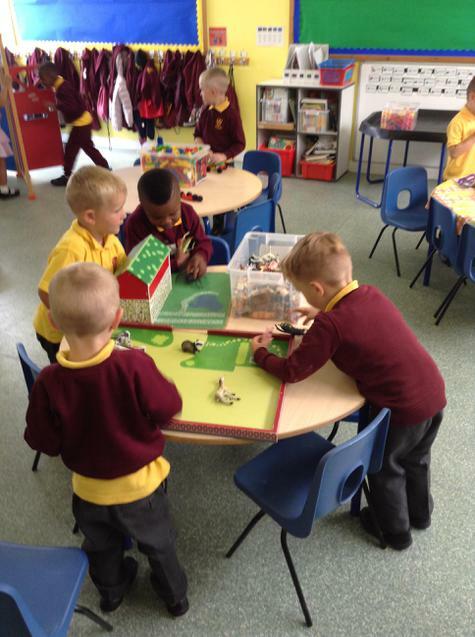 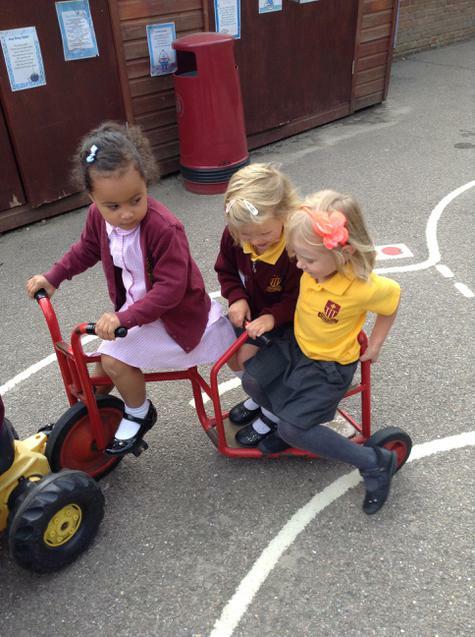 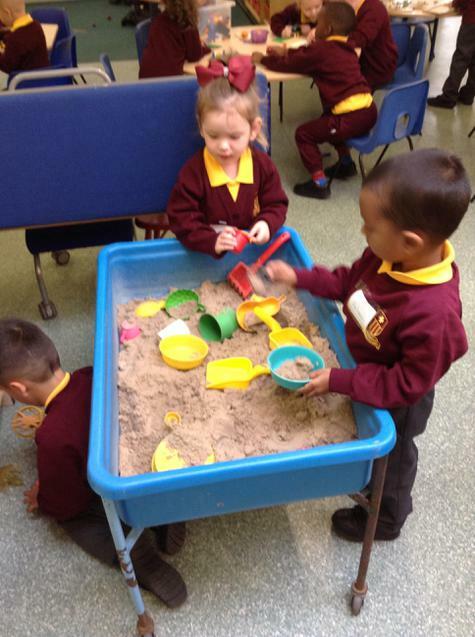 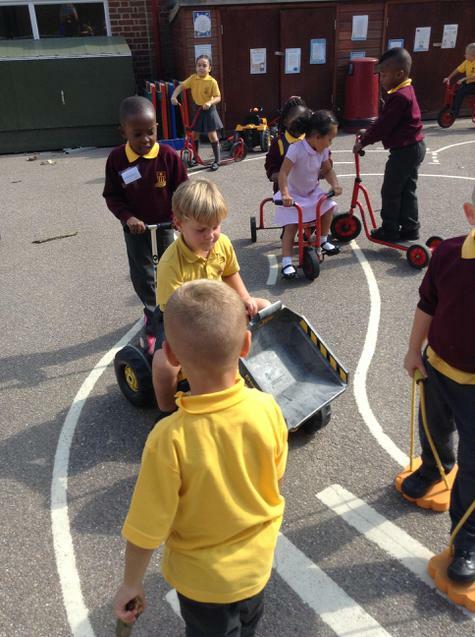 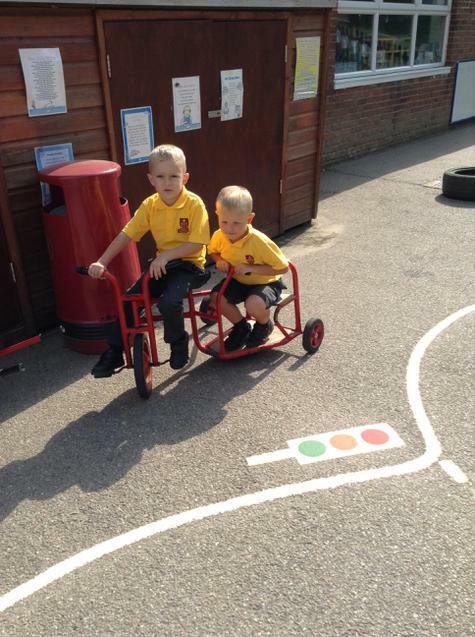 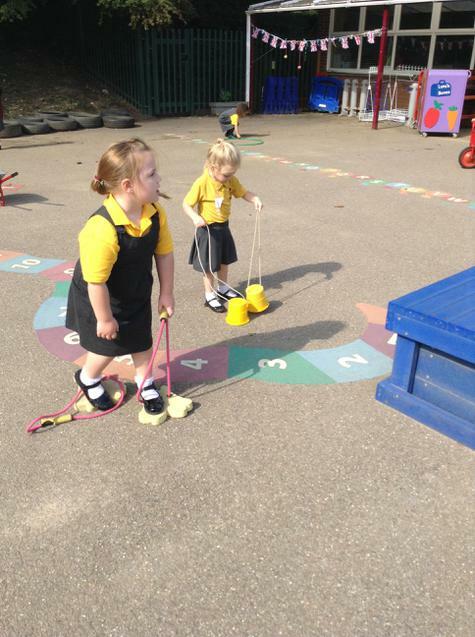 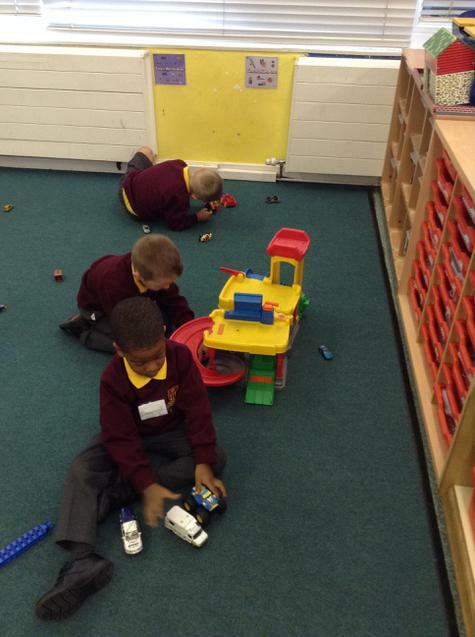 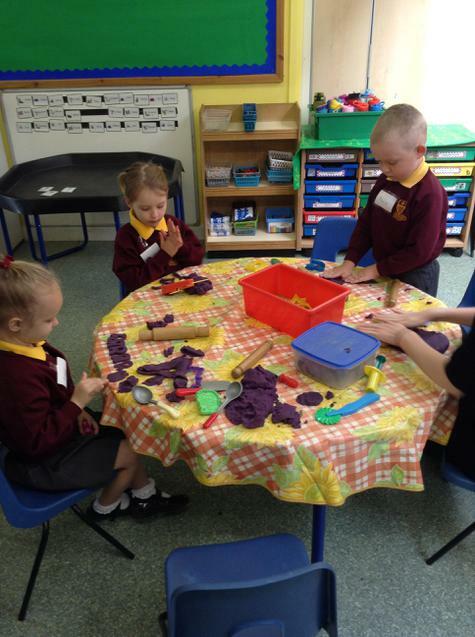 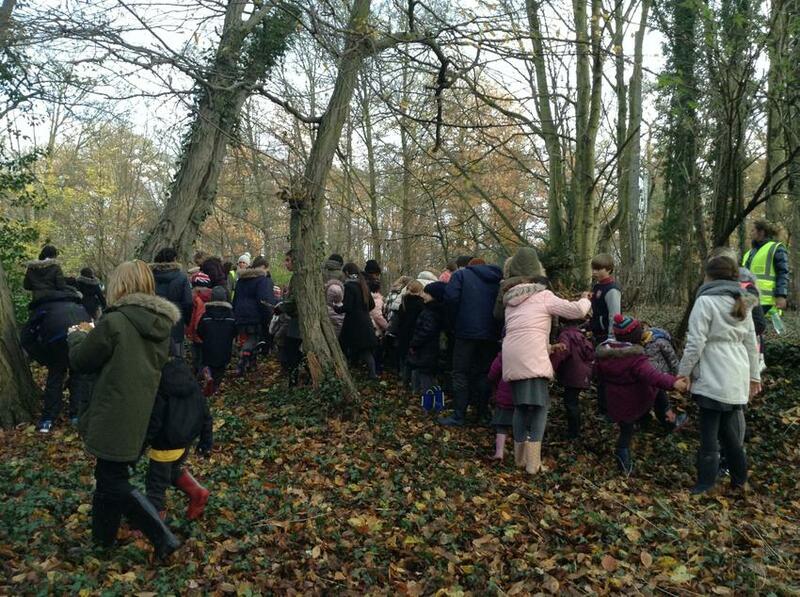 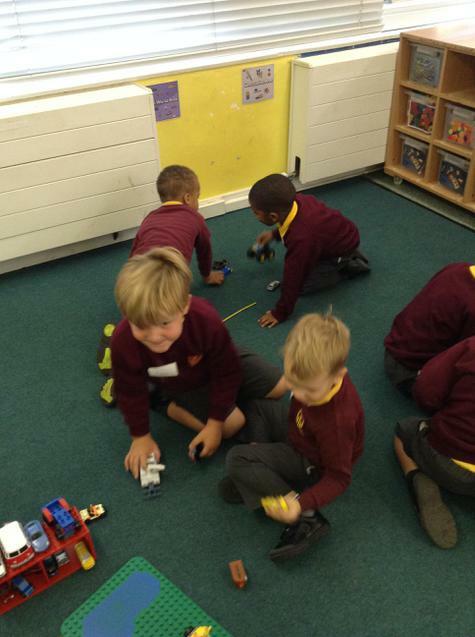 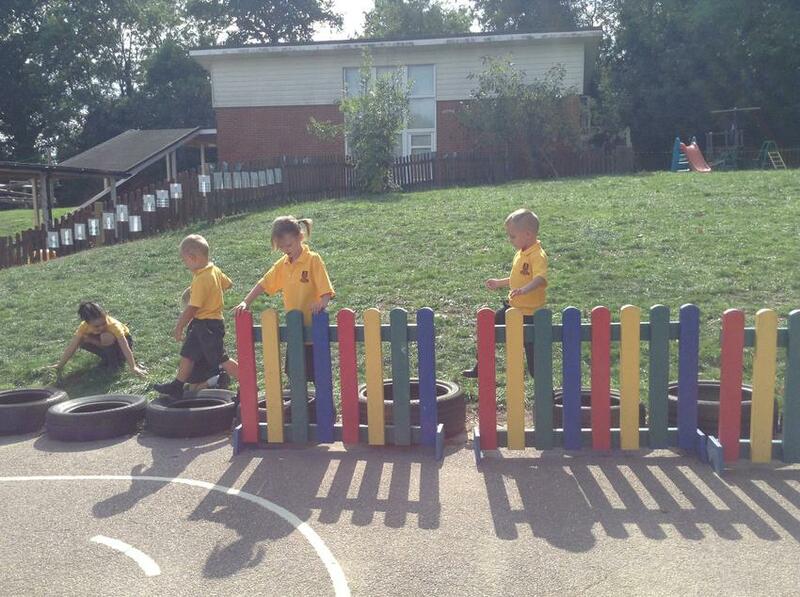 Nice to see the children enjoying learning." 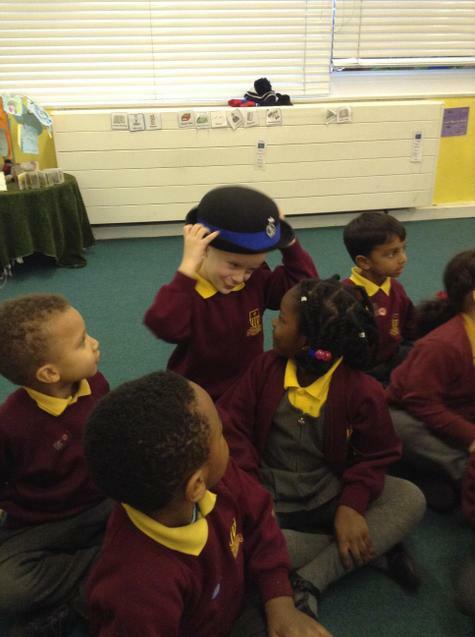 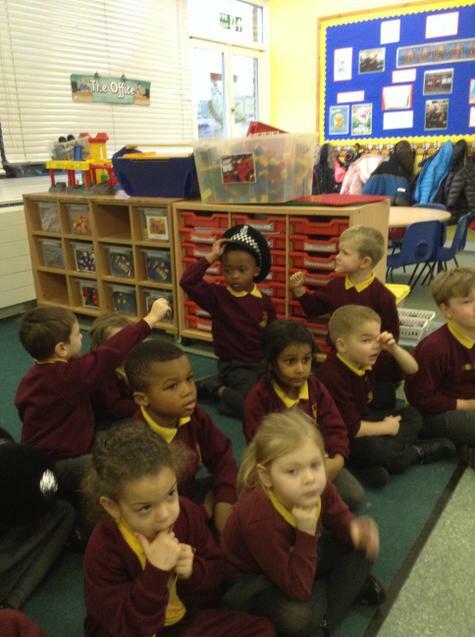 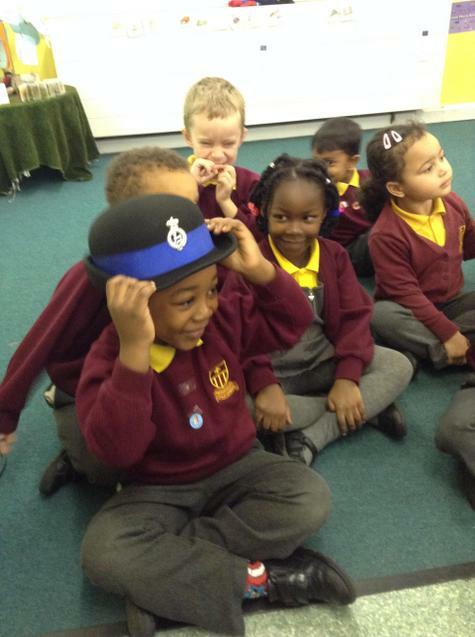 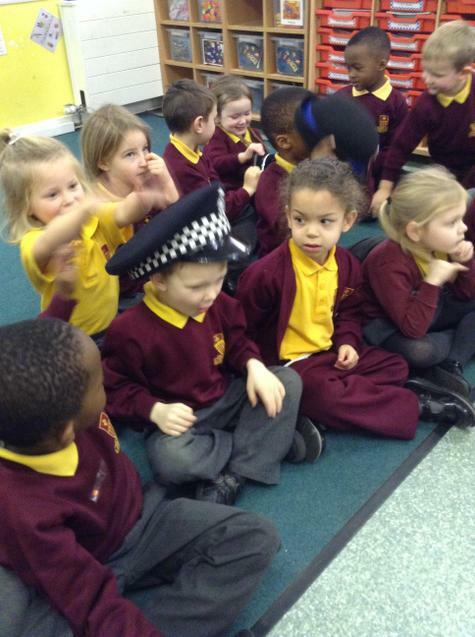 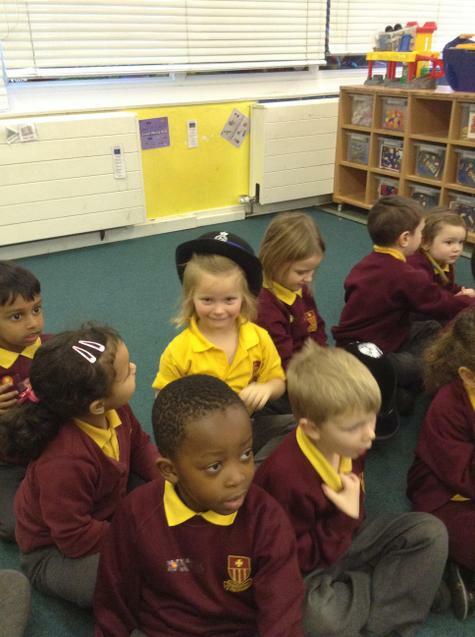 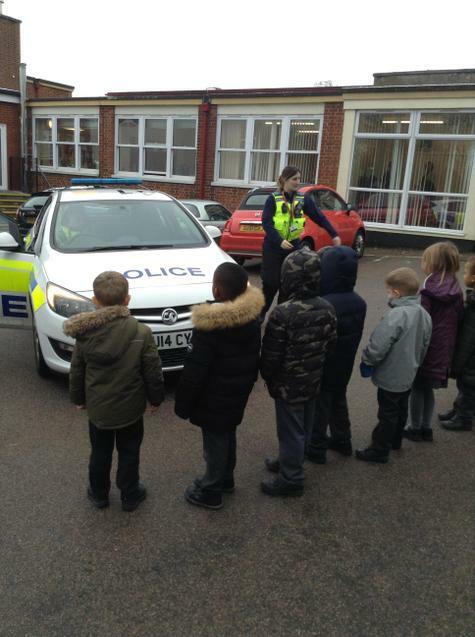 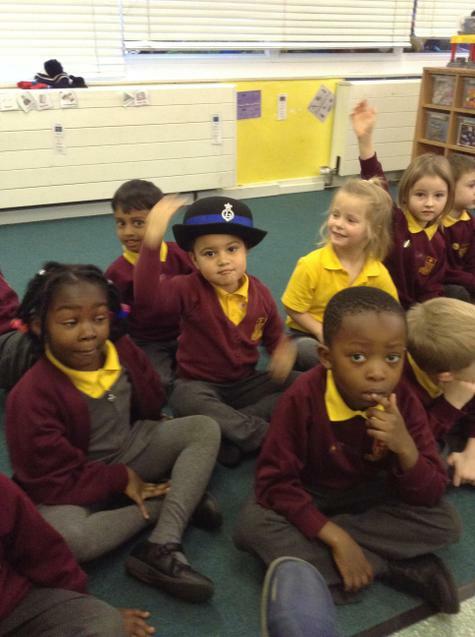 The police officers told us all about their job. 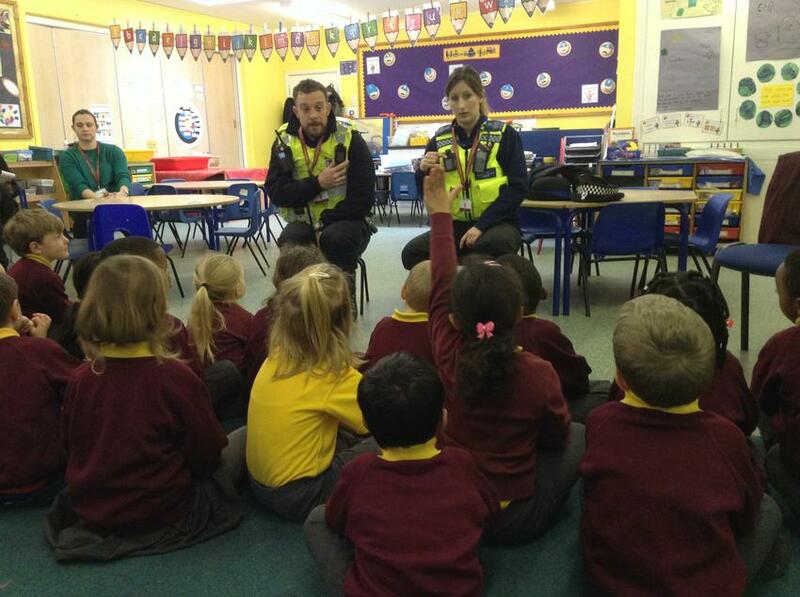 They wanted us to know that they are here to keep people safe and that they will always help if they can. 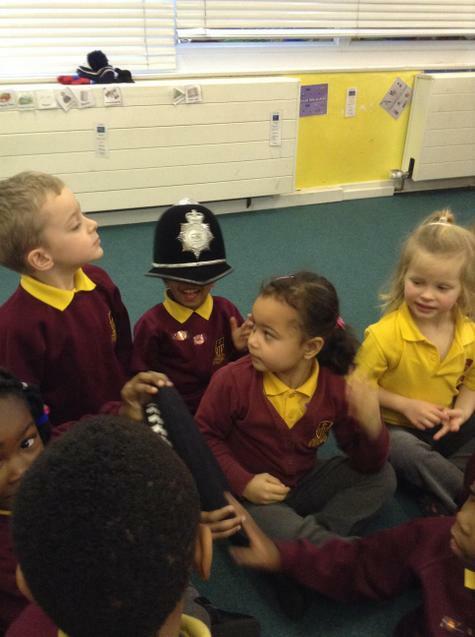 They showed us their uniform and the special equipment that they use. 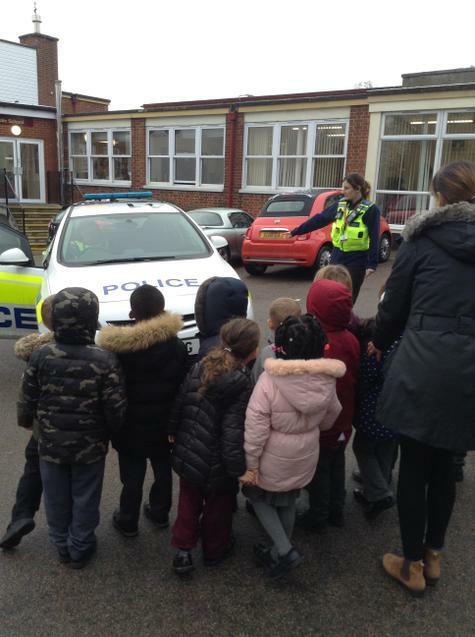 We got to see the car with the flashing lights and siren. 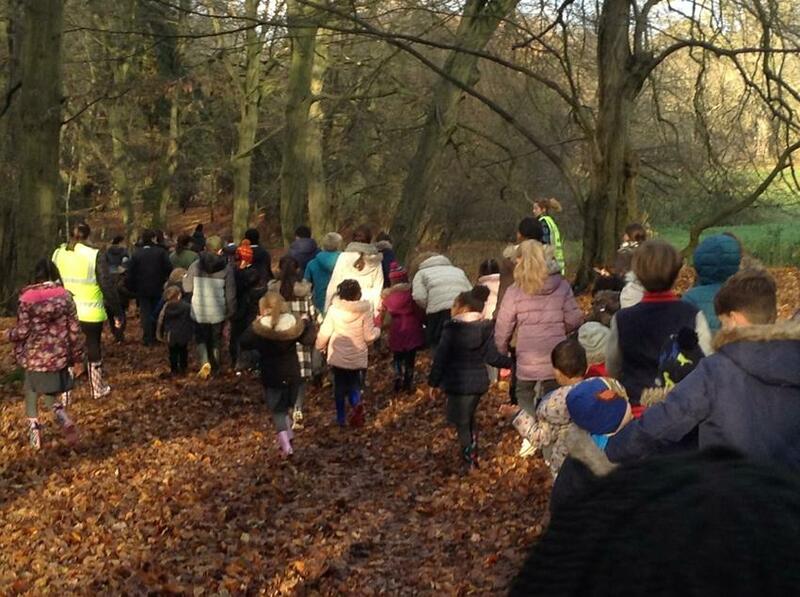 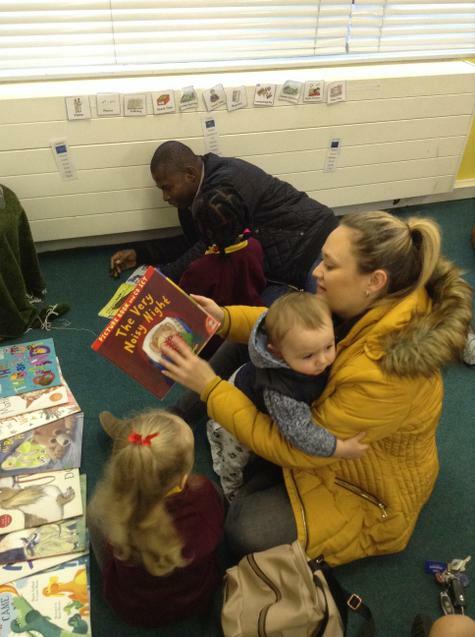 It was a chilly morning, we walked into Hatfield Town Centre holding hands with a friend and arrived at the library. 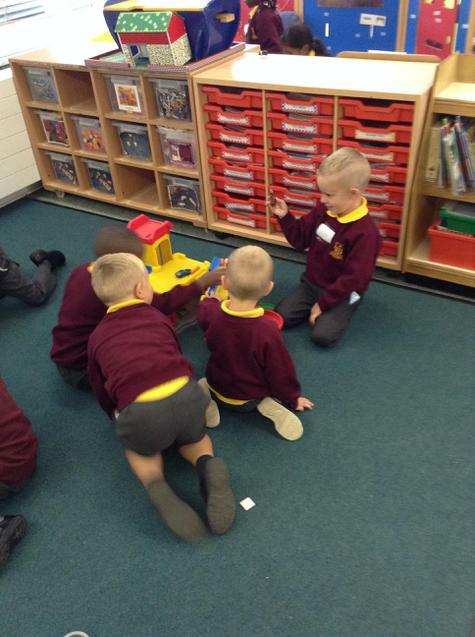 We has some lovely little mats to sit on and we learnt all about how the library works. 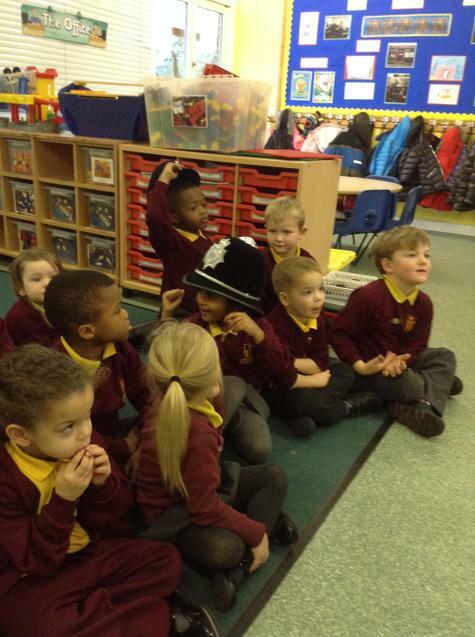 The library staff read us some stories and we chose a book of our own to take home. 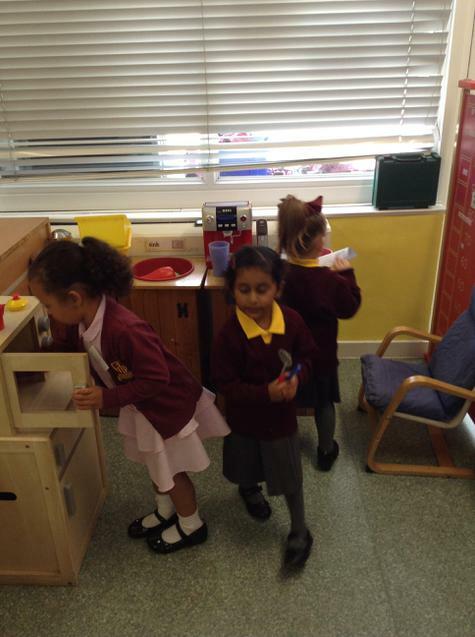 We learnt how to use the special machine, we needed to use our library card too. 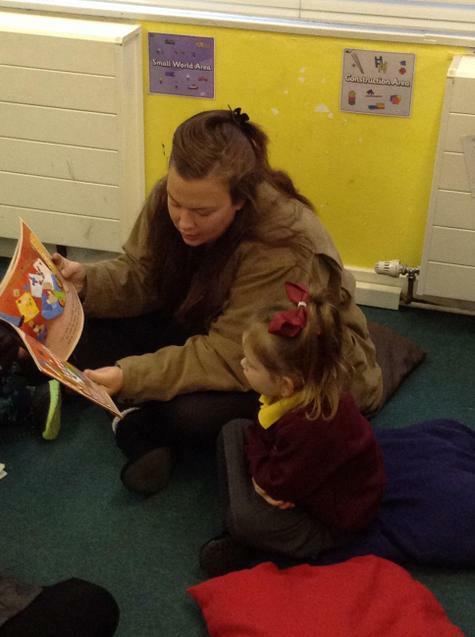 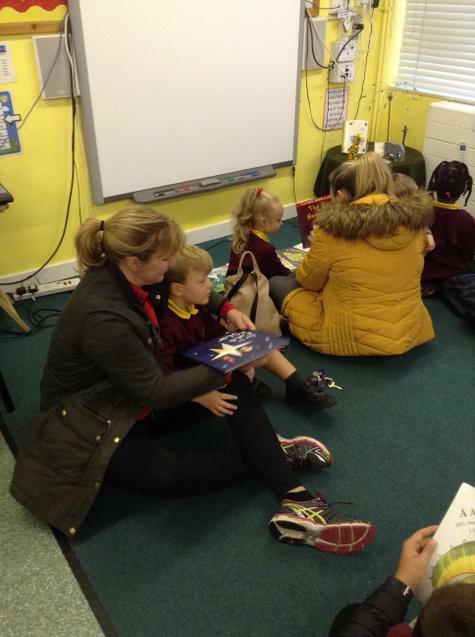 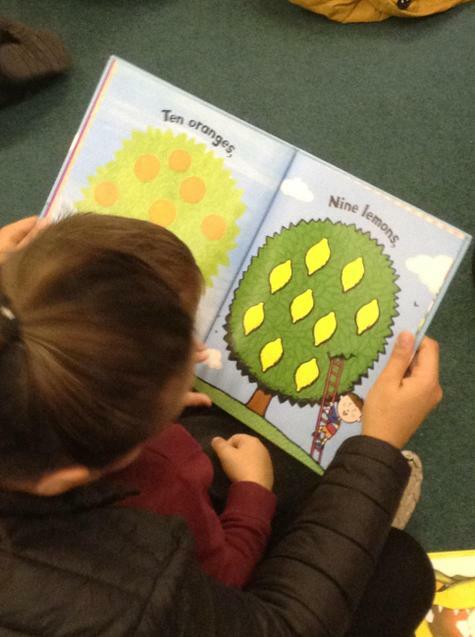 Thank you to all the parents who came along to our second stay and read. 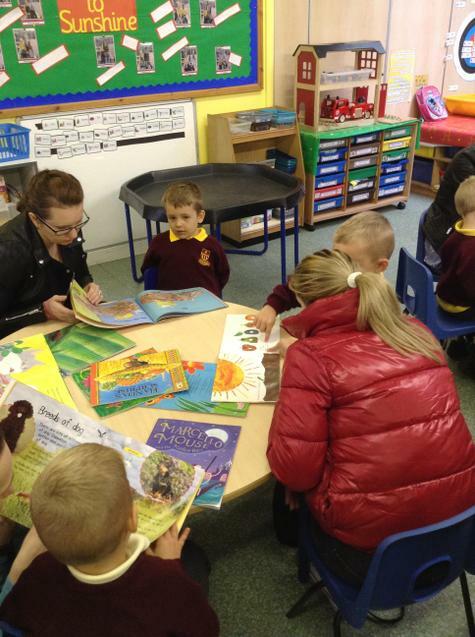 The classroom was buzzing and the children really enjoyed sharing books with you all. 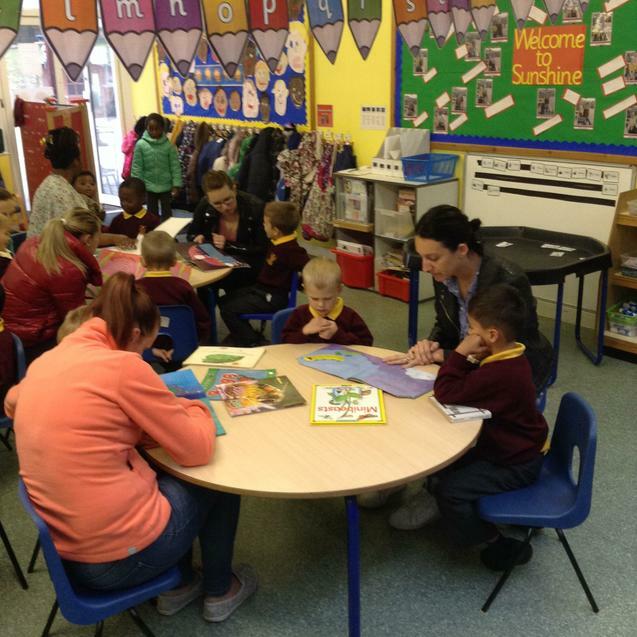 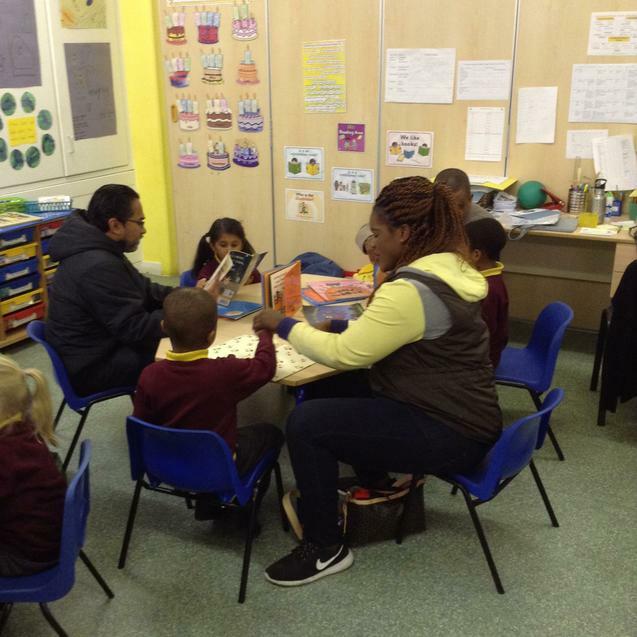 Thank you to all the parents who attended our Stay and Read session. 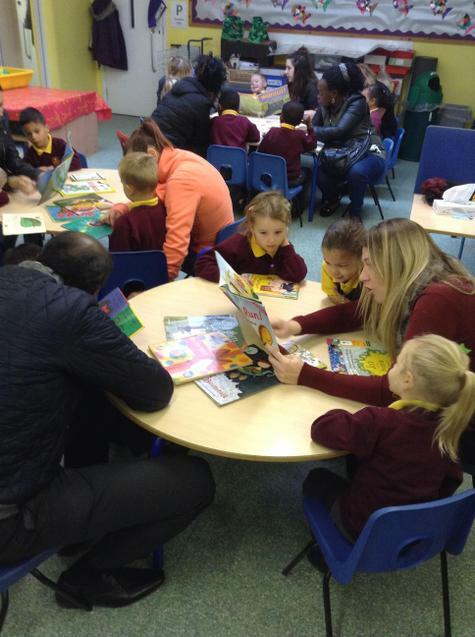 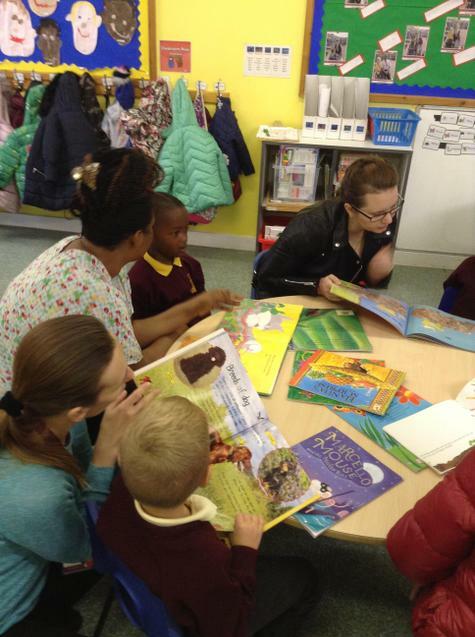 It was very exciting to see so many children enjoying books with an adult, all at the same time. 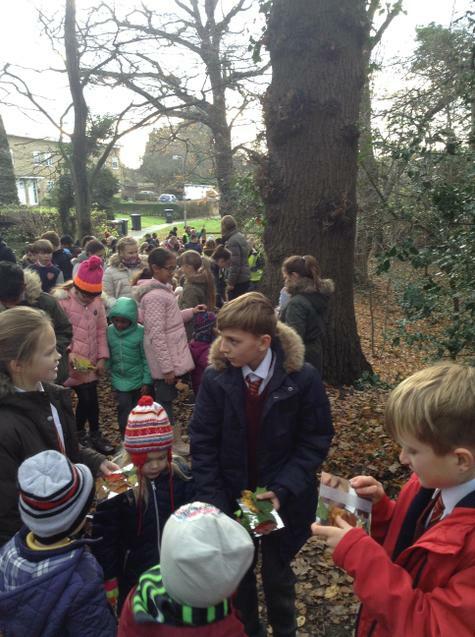 There was a real buzz and we are really looking forward to the next one (6th December). 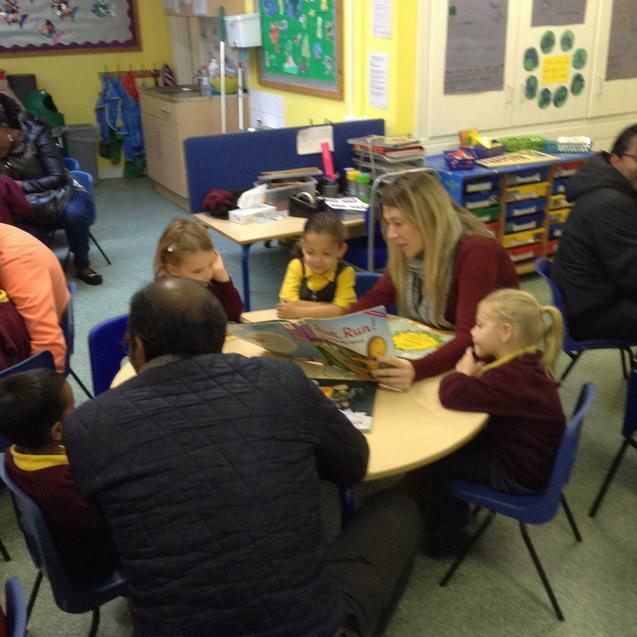 Here is the PowerPoint from thr English Information Evening. 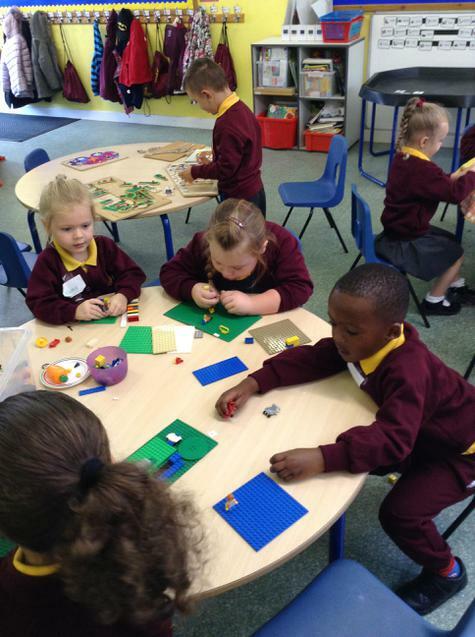 Here is our Information Pack for new Reception parents. 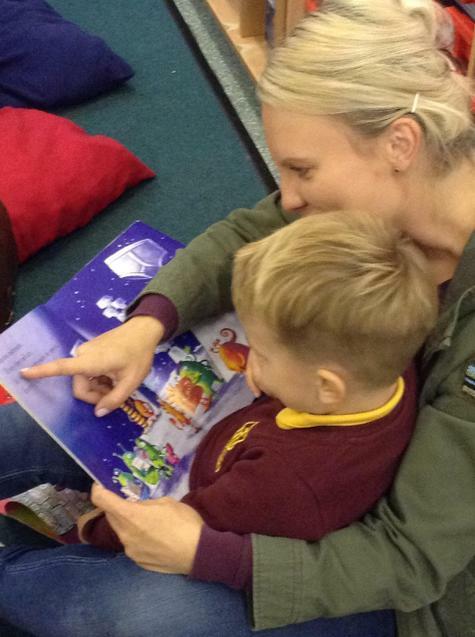 This document will give you ideas for supporting your child with their phonics. 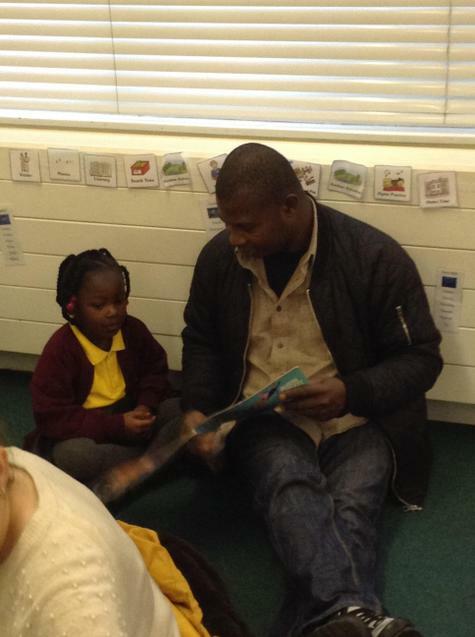 This document will give you ideas on how to support your child with their reading.